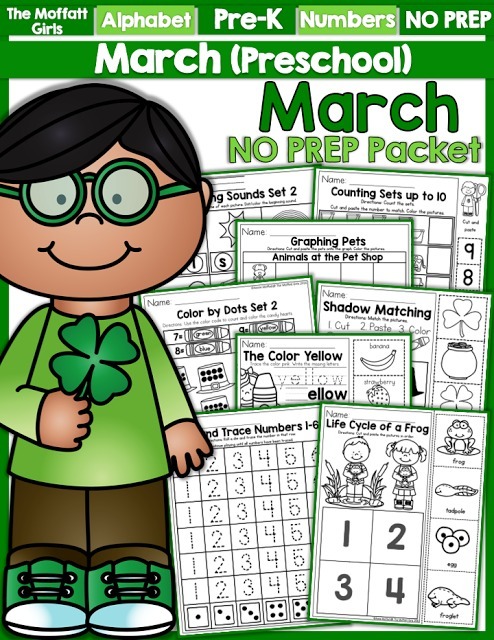 Are you ready for the month of March? 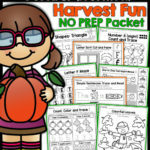 We are all geared up for some fun learning this month! 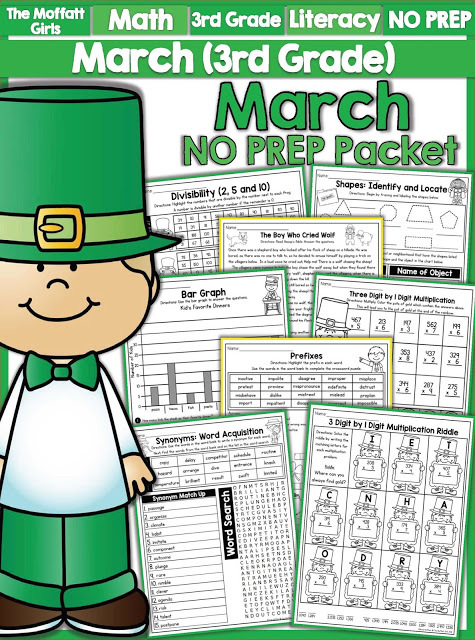 Our March NO PREP packets are done and we are ready to go! 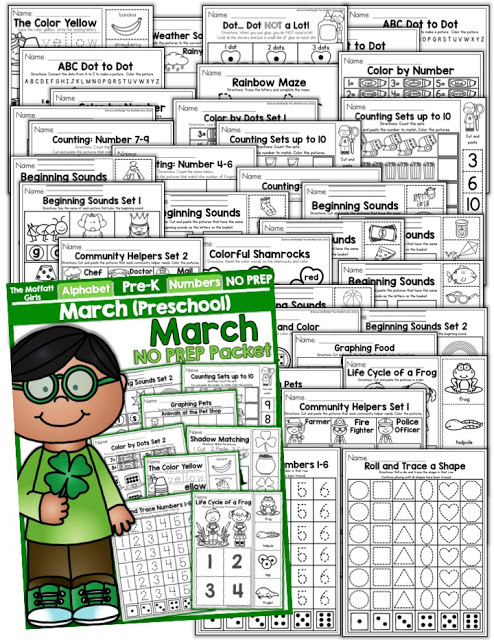 The March Preschool packet is all about color, hands-on learning and activities that are engaging! 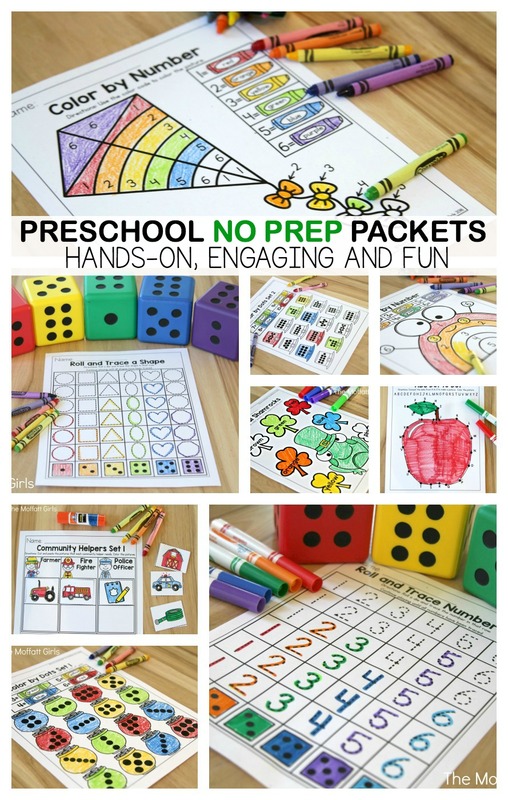 Grab those dice, crayons, scissors and glue sticks…this packet is LOADED with fun activities! 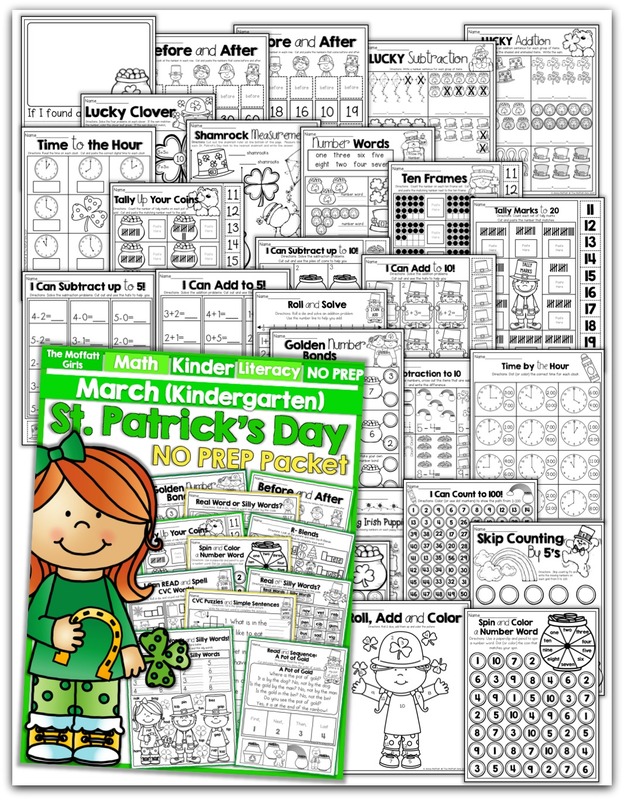 Here are just a few of the pages in this massive packet! *Rhyming Clues- Cut and paste the clue that matches the picture. 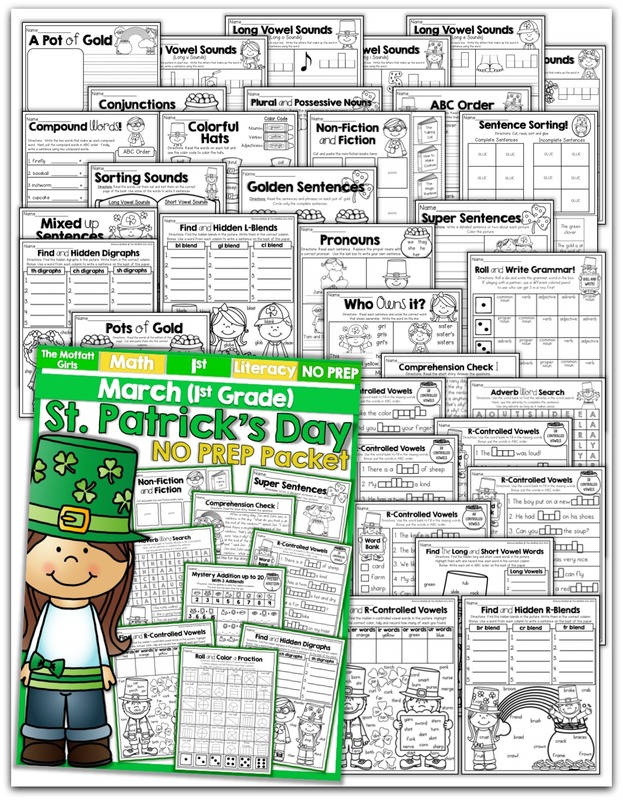 *Animal Clues – Read the simple sentences and cut and paste the clues that match the picture. 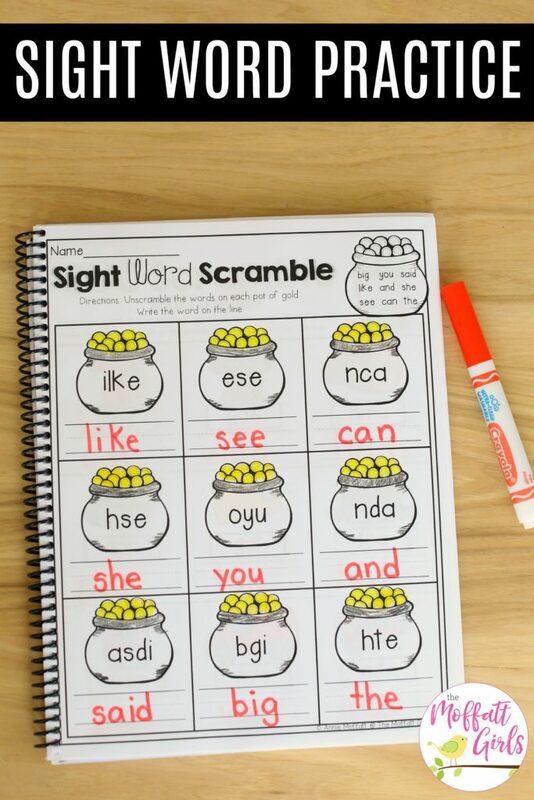 *Sight Word Scramble- unscramble the sight words on the pot of gold: big, like, see, you, and, can, said, she and the. *Sentence Building I – Unscramble the words, cut and paste to make a sentence. Rewrite the sentence. 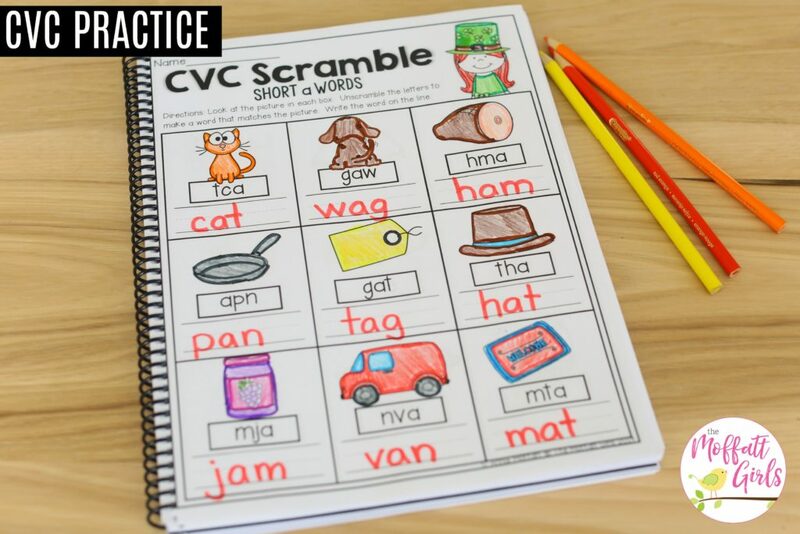 *Sentence Building II – Unscramble the words, cut and paste to make a sentence. Rewrite the sentence. 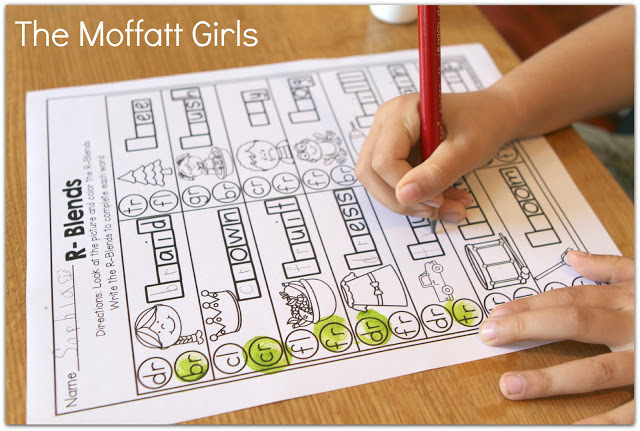 *Sentence Building III – Unscramble the words, cut and paste to make a sentence. Rewrite the sentence. 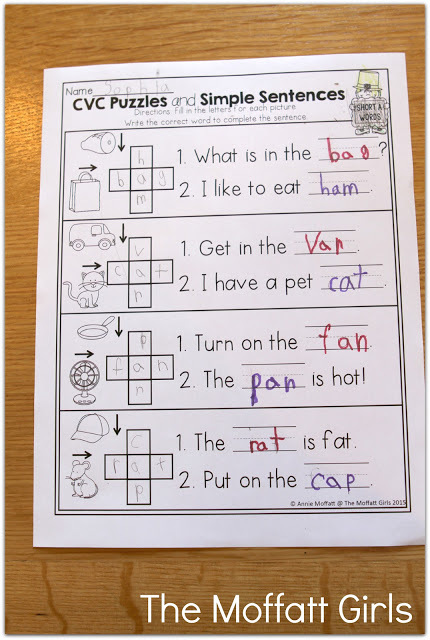 *Label and Write- Label the picture by using the word bank. Write a simple sentence about the picture. 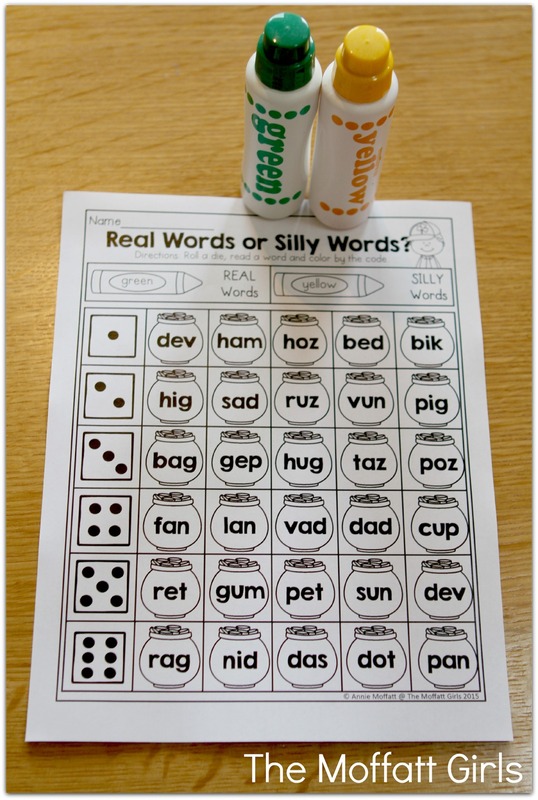 *Real or Silly Words? Read the words on the hats and color the real and silly words according to the color code. *Find the Real and Silly Words- find the words hidden in the picture. Record the words in the correct columns. *Read and Color- Read the simple sentences and color the picture to match. 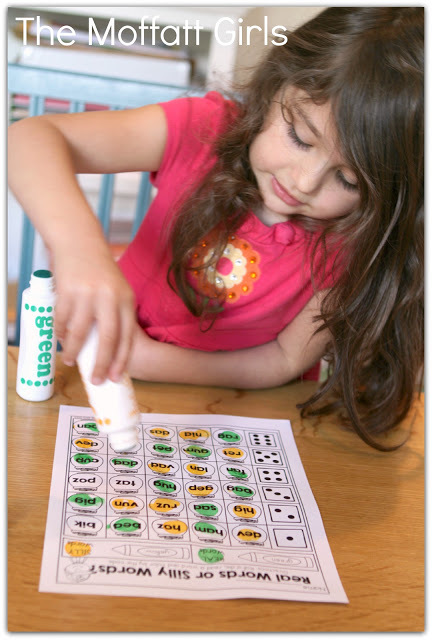 *I Can Read and Spell CVC words- Roll a die, sound out the letters for each picture and box them up. *I Can Read Simple Sentences (short a words) – Write the missing CVC word in each sentence. 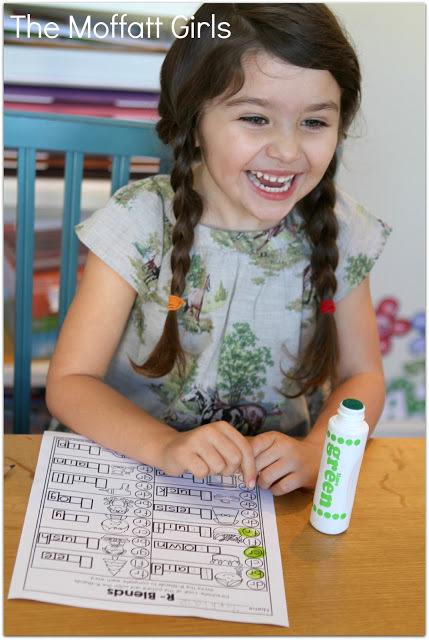 Color each picture after you use the word. 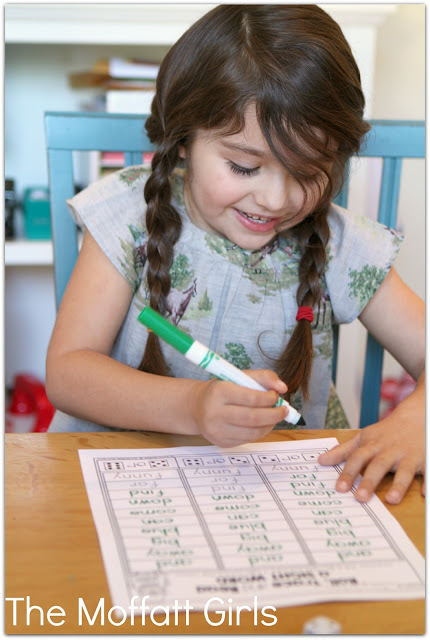 *I Can Read Simple Sentences (short e words) – Write the missing CVC word in each sentence. 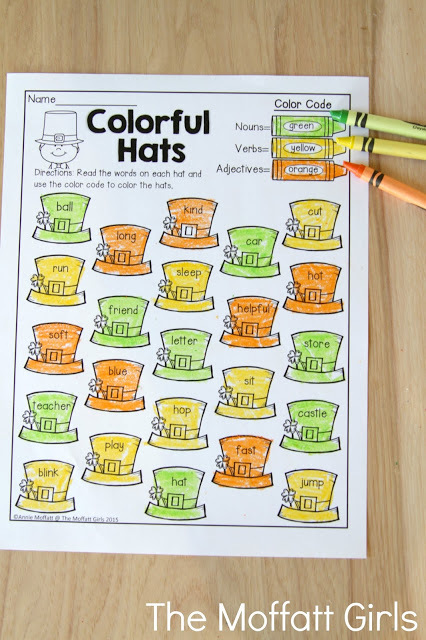 Color each picture after you use the word. *I Can Read Simple Sentences (short i words) – Write the missing CVC word in each sentence. 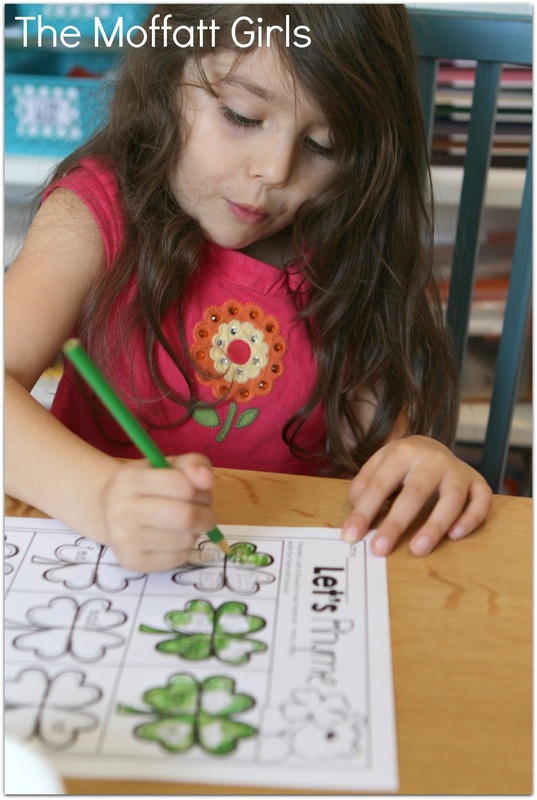 Color each picture after you use the word. 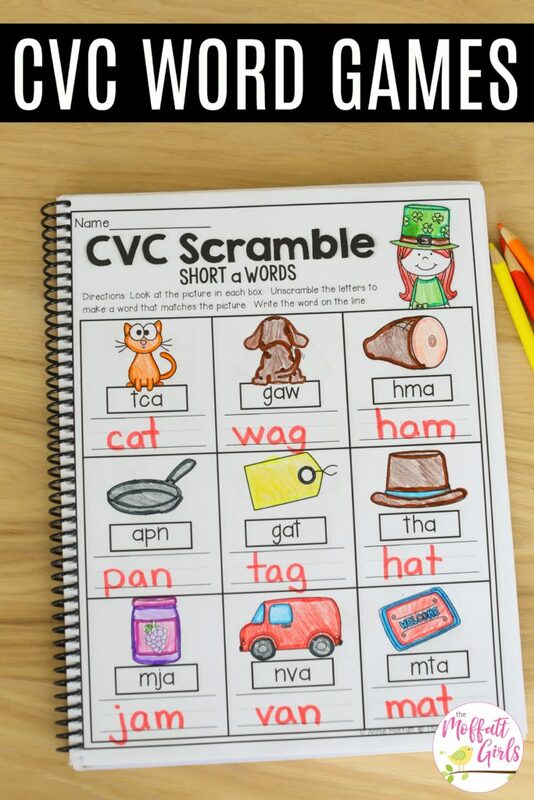 *I Can Read Simple Sentences (short o words) – Write the missing CVC word in each sentence. 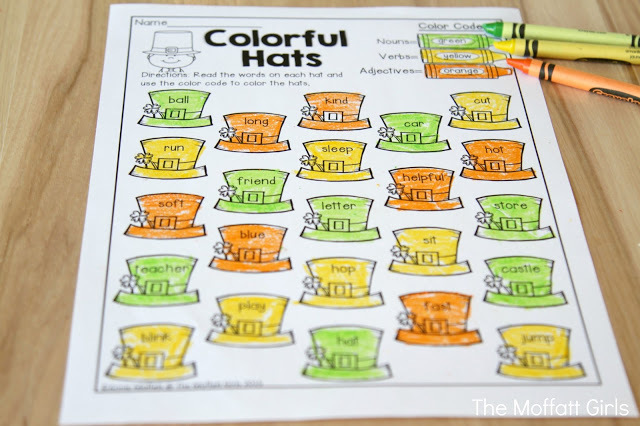 Color each picture after you use the word. 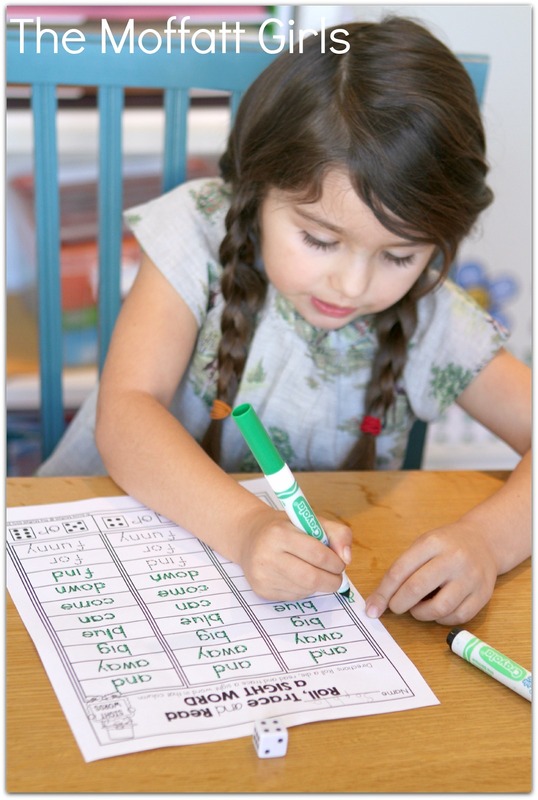 *I Can Read Simple Sentences (short u words) – Write the missing CVC word in each sentence. Color each picture after you use the word. *R-Blends- Look at each picture, dot the beginning blend that matches. 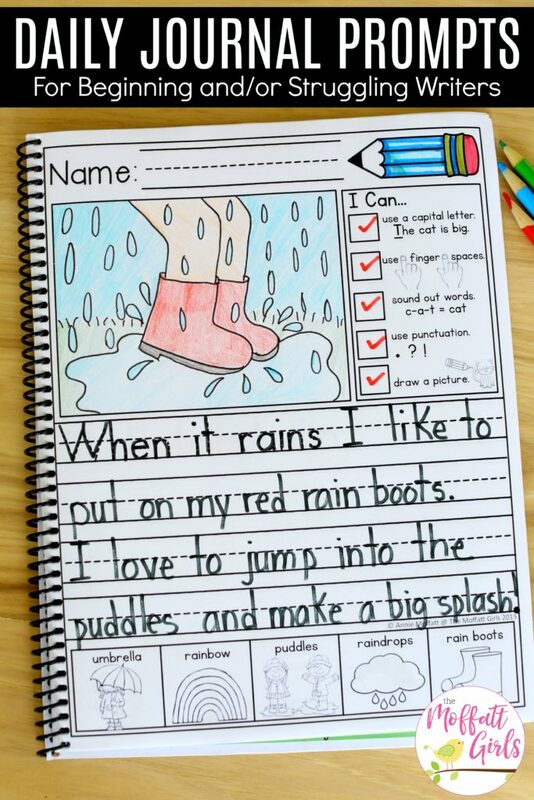 Write the beginning blend for each word. 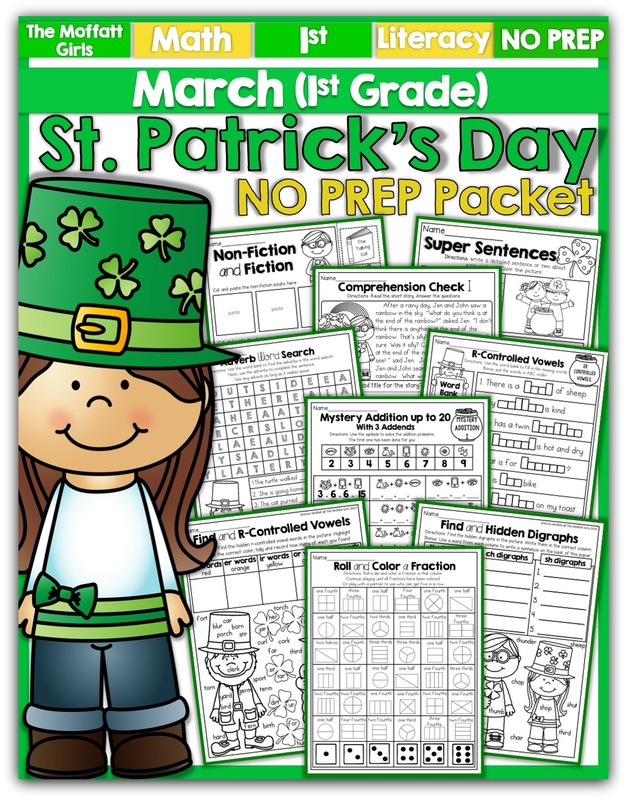 *Read and Sequence – A Pot of Gold – Read the simple story, sequence the story buy cutting and pasting the pictures to show comprehension. 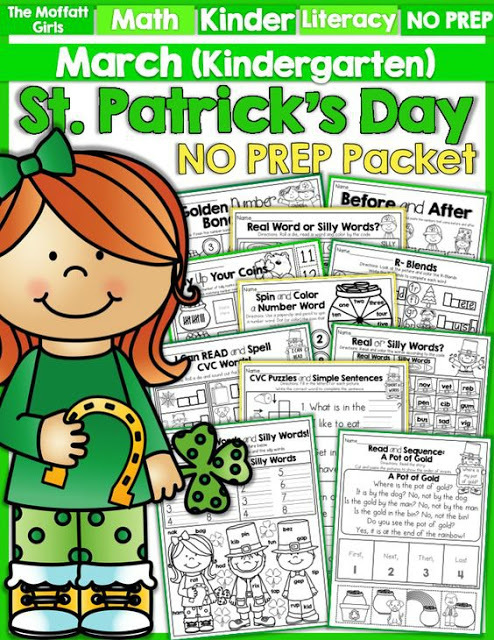 *My Pot of Gold Book- Cut out the mini book, read and draw a picture to match each sentence. *Roll, Add and Color- Roll 2 dice, add them up and color a number that matches. 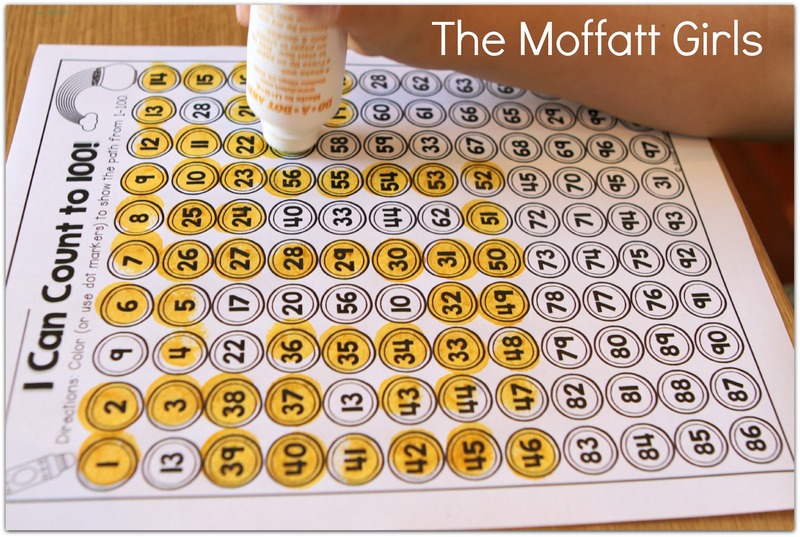 *Counting On- Trace the number on the coin, count on to 20. 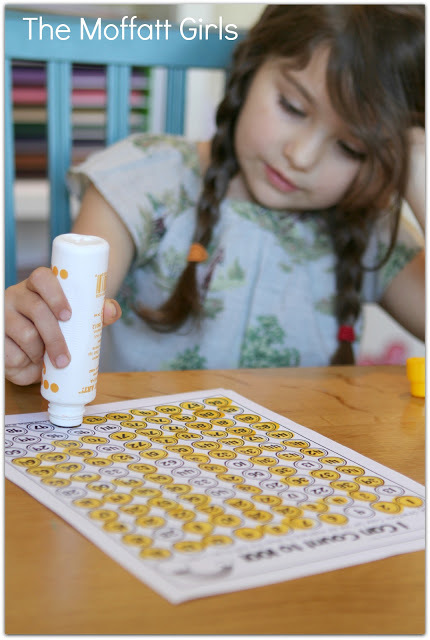 *Skip Counting by 5’s- Write the missing numbers on each gold coin from 5-100. * I Can Count to 100! 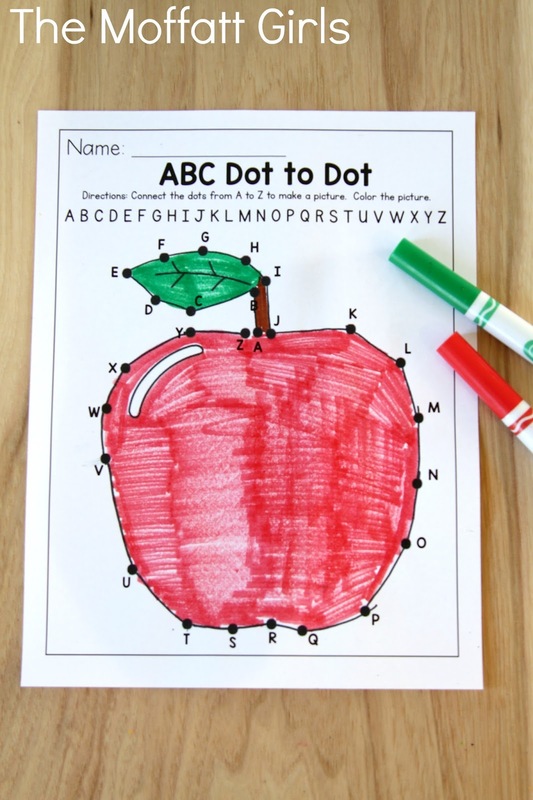 Use a dot marker to dab your way to 100 on the maze. 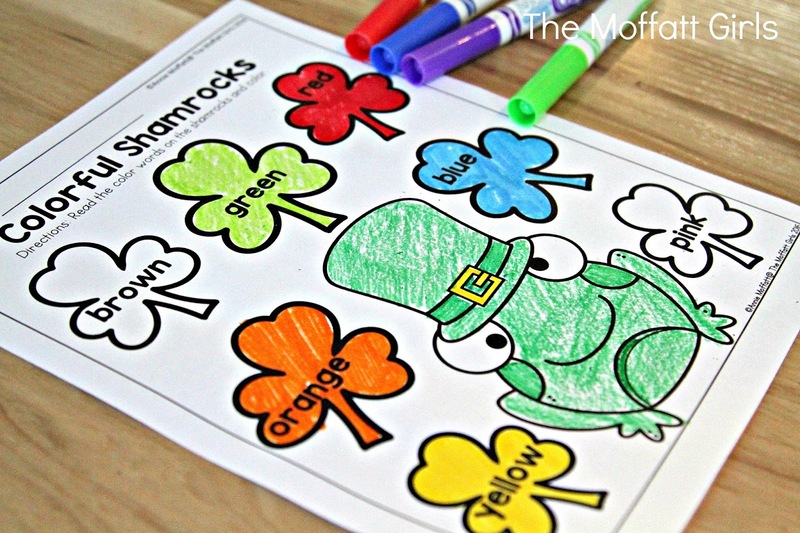 *Number Bonds- Finish the number bond for each pot of gold. 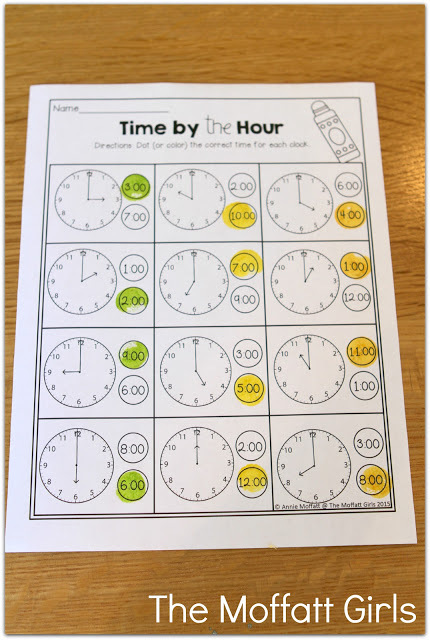 *Time by the Hour- Read the time for each clock, dot (or color) the correct time. 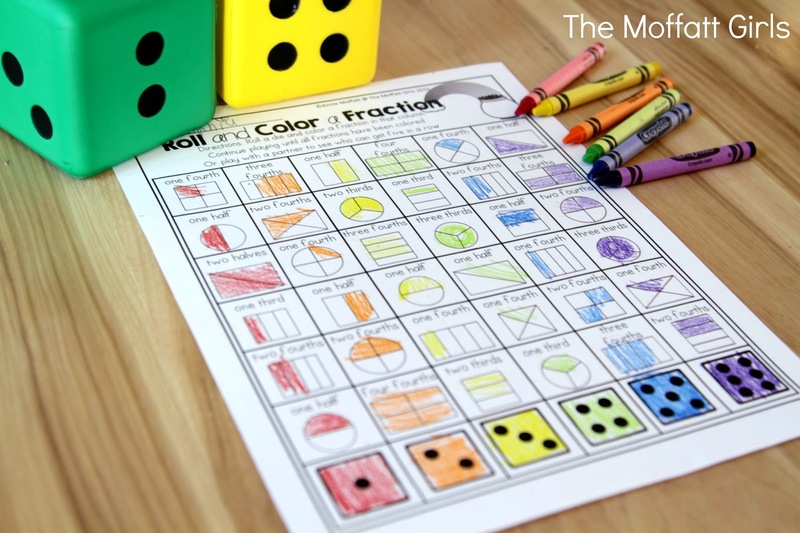 *Subtraction to 10- Trace the numbers, cross out the items that should be subtracted and write the difference. 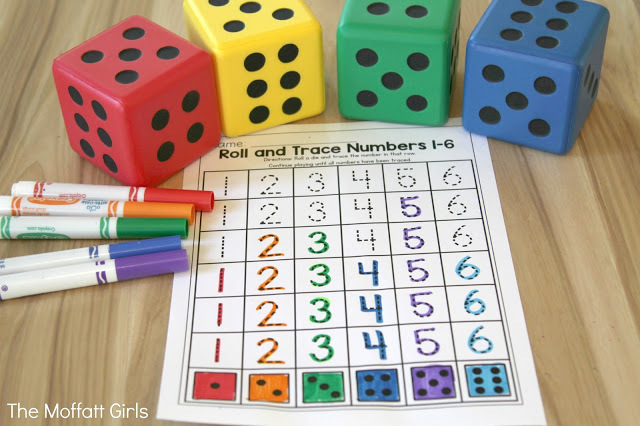 *Roll and Solve- Roll a die and use the number line to solve addition problems up to 10. 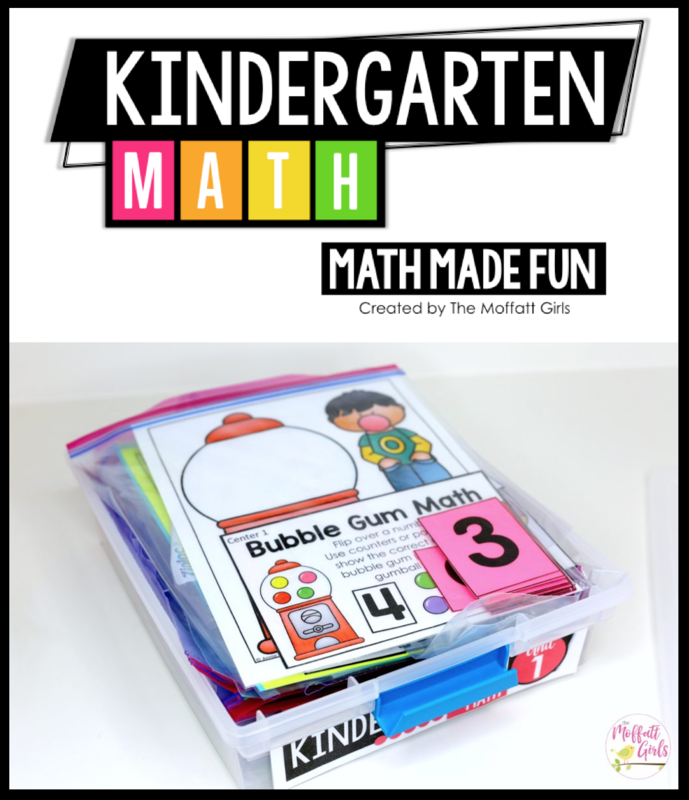 *I Can Add to 5- Cut out the built in manipulatives to add up to 5. 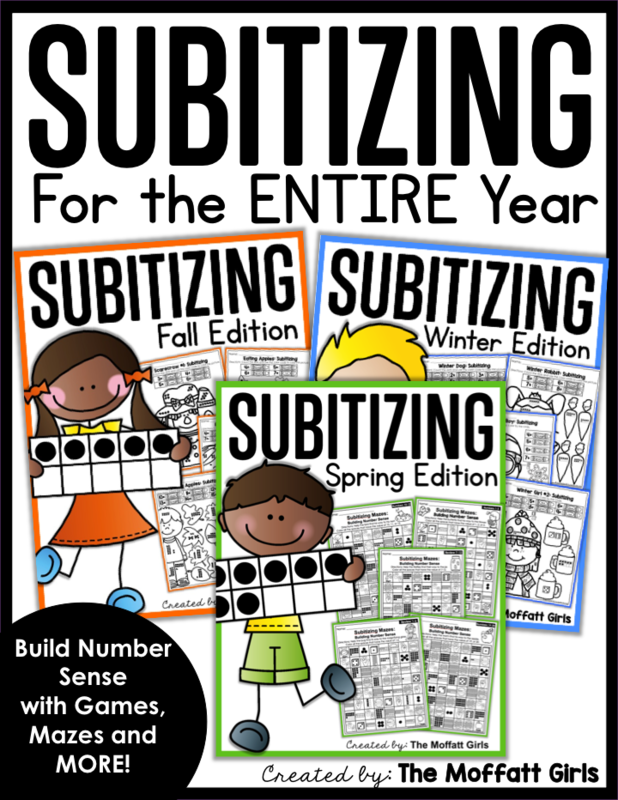 *I Can Subtract up to 5- Cut out the built in manipulative to help you subtract. 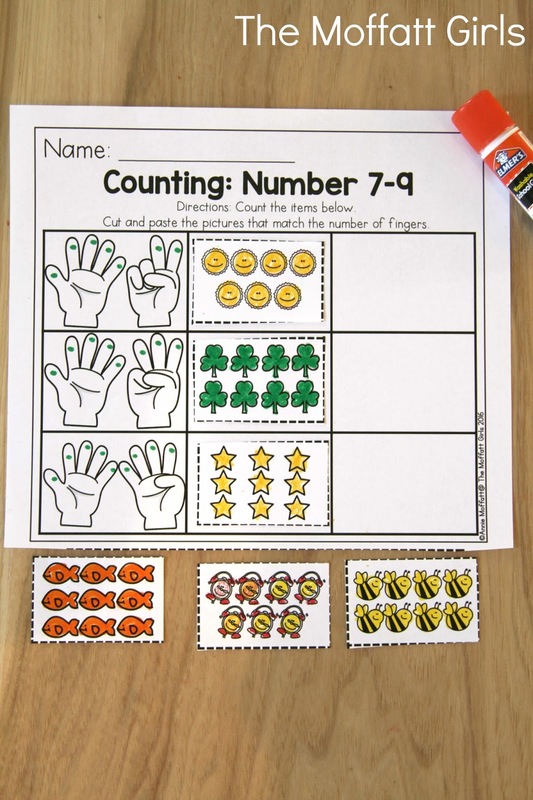 *I Can Add to 10- Cut out the built in manipulative to help you add up to 10. 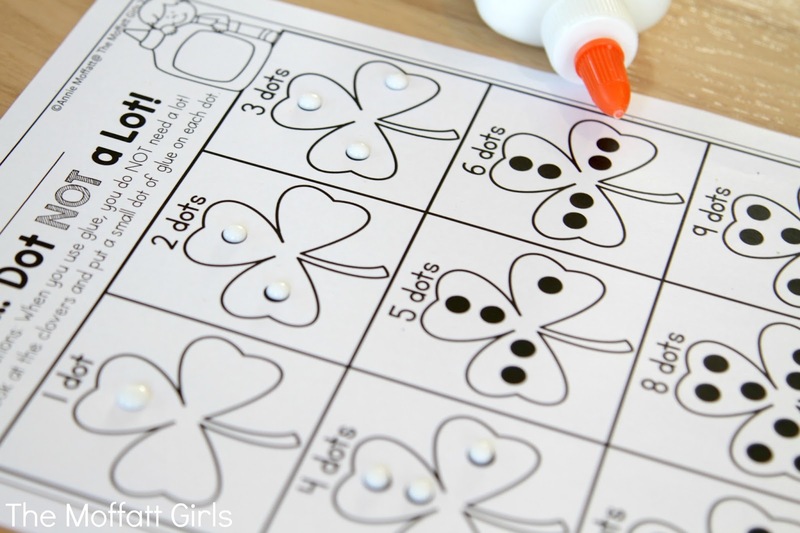 *I Can Subtract to 10- Cut out the built in manipulative to help you subtract up to 10. 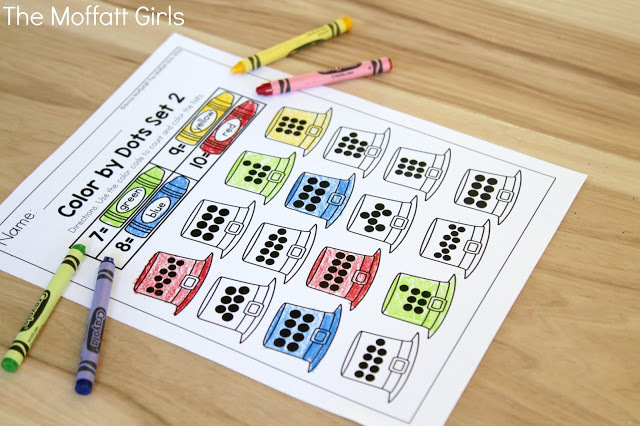 *Tally Marks to 20 I- Count the tally marks, cut and paste the number to match. *Tally Marks to 20 II- Count the tally marks, cut and paste the number to match. *Time to the Hour- Cut and paste the time that matches each clock. *Ten Frames- Cut and paste the number that matches each ten frame. 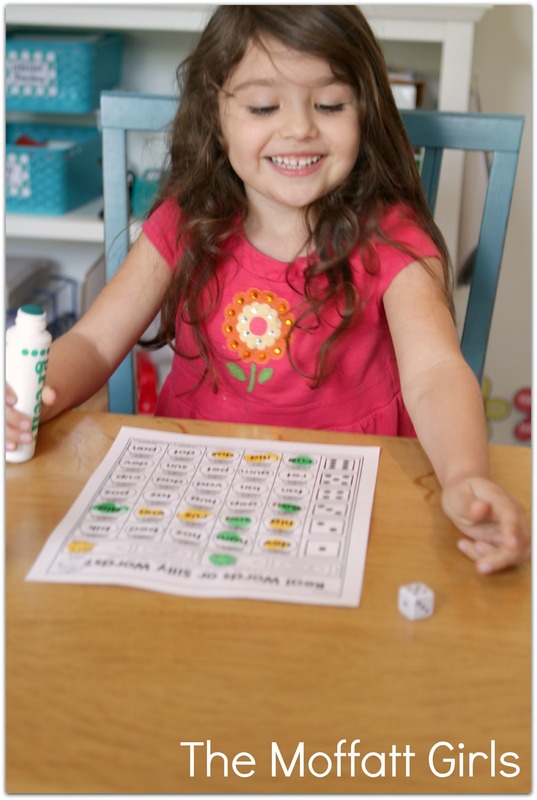 *Number Words- Count the items in each set. Write the correct number words using the word bank. 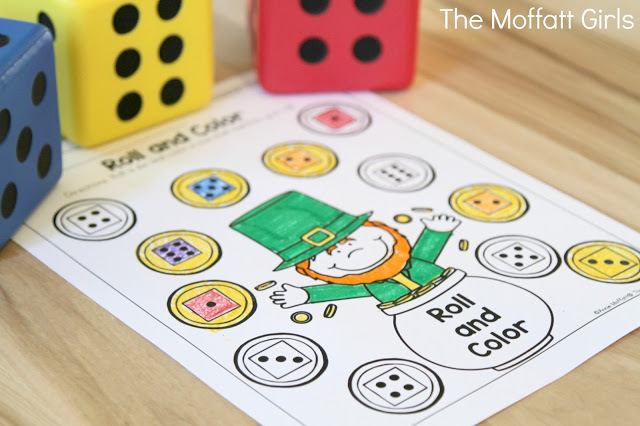 *Spin and Color a Number Word- Spin the pot of gold and dot or color a coin that matches your spin. 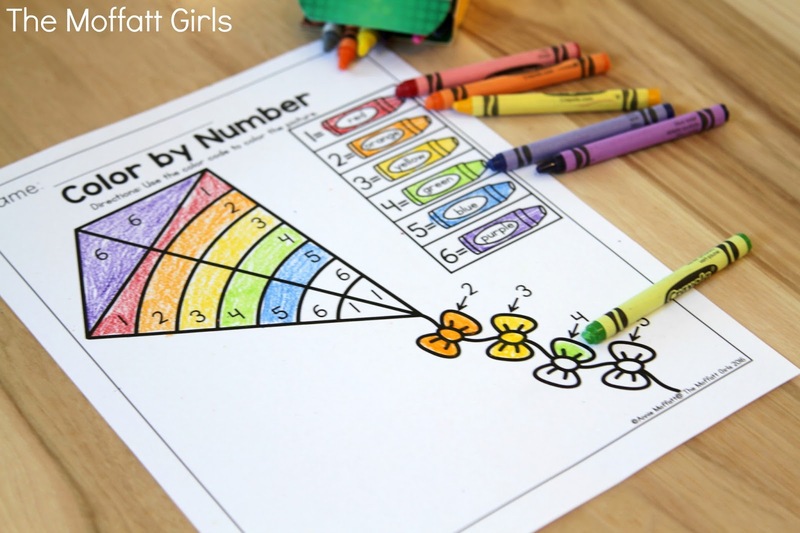 Number words up to ten. 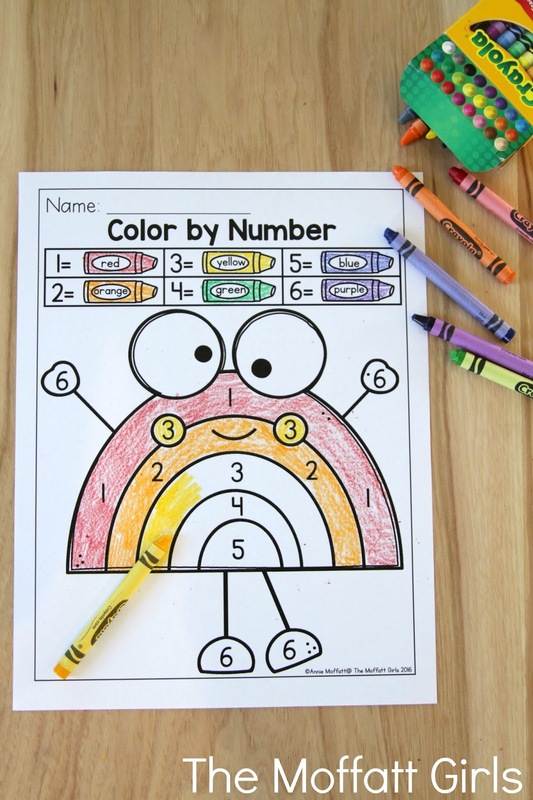 *Measurement- Cut out the built in ruler to help you measure each item. *Addition up to 10- Solve the problems (sums of 7, 8, 9, 10) on the clovers and color according to the code. 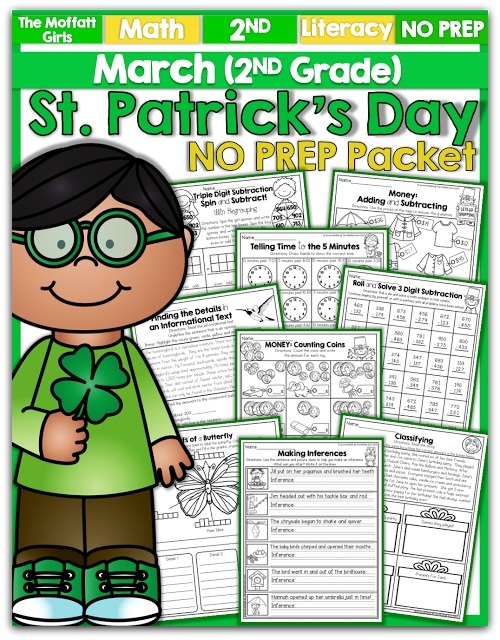 *Addition Sentences- Write a number sentence to represent the shaded and unshaded items in the set. *Subtraction Sentences- Write a number sentence for each group of items. *Before and after I- Cut and paste the numbers that come before and after. *Before and after II- Cut and paste the numbers that come before and after. *-ar Controlled Vowels- Use the word bank to fill in the missing r-controlled words for each sentence. *-er Controlled Vowels- Use the word bank to fill in the missing r-controlled words for each sentence. 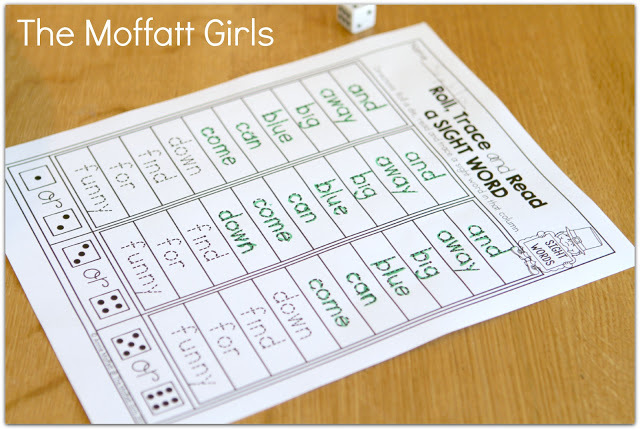 *-ir Controlled Vowels- Use the word bank to fill in the missing r-controlled words for each sentence. 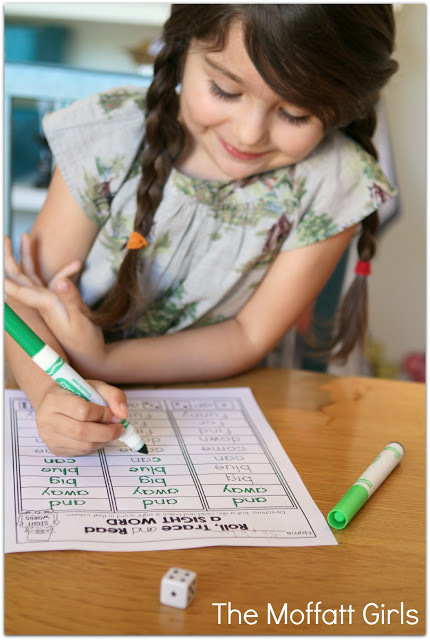 *-or Controlled Vowels- Use the word bank to fill in the missing r-controlled words for each sentence. 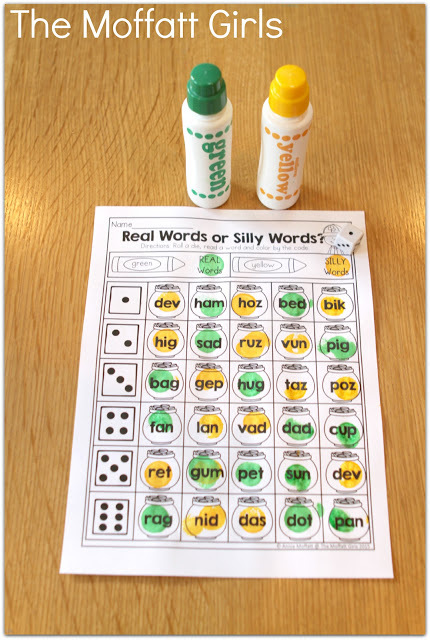 *-ur Controlled Vowels- Use the word bank to fill in the missing r-controlled words for each sentence. 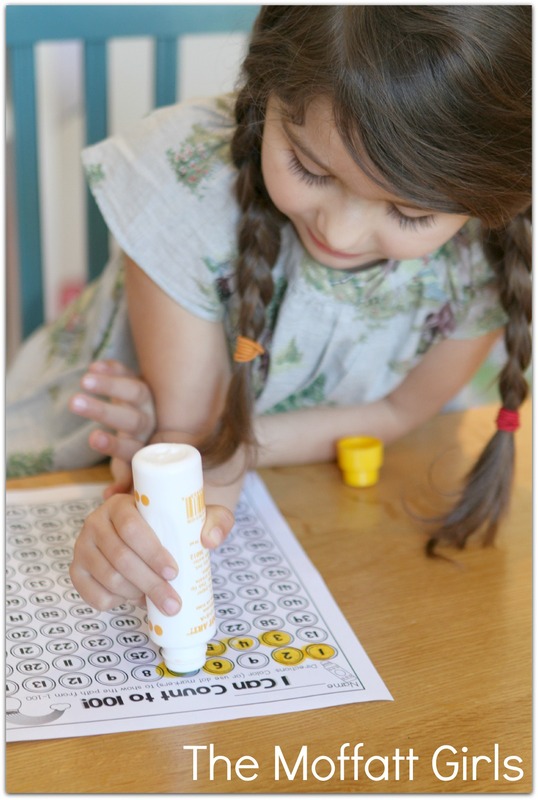 Adverbs Word Search – Use the word bank to find the adverbs in the word search. 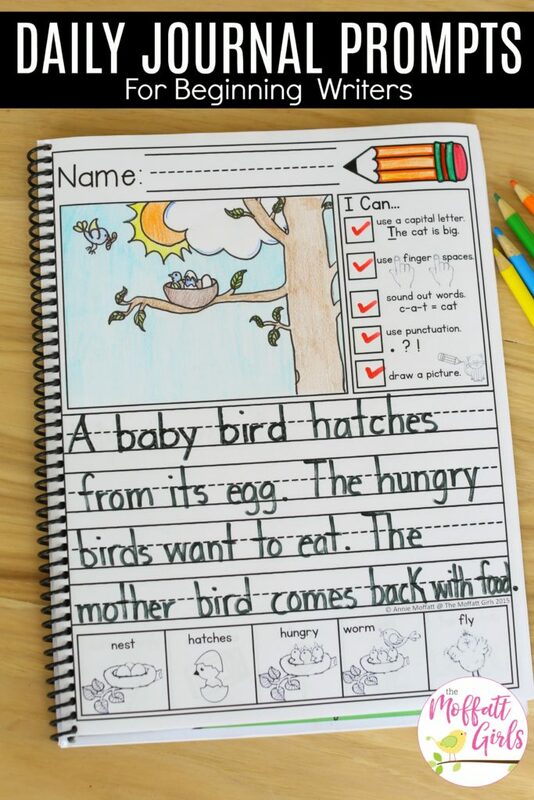 Use the words to complete the sentences. 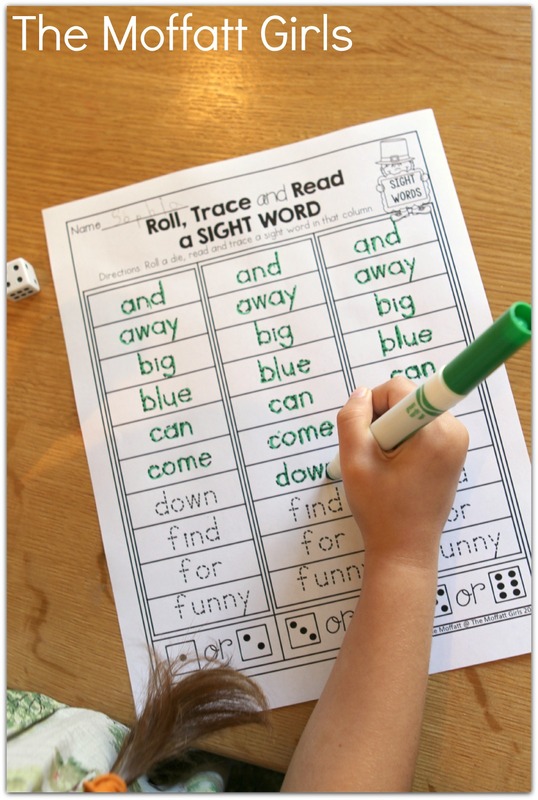 *Roll and Write Grammar- Roll and die and write a word to match the given part of speech for common nouns, verbs, adjectives, adverbs and proper nouns. 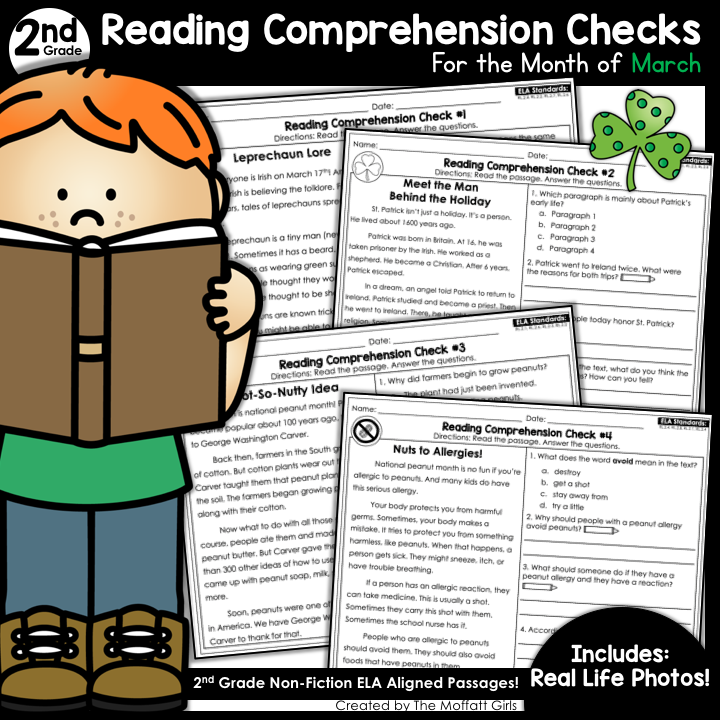 *Comprehension Check – Read the short story and answer the comprehension questions. 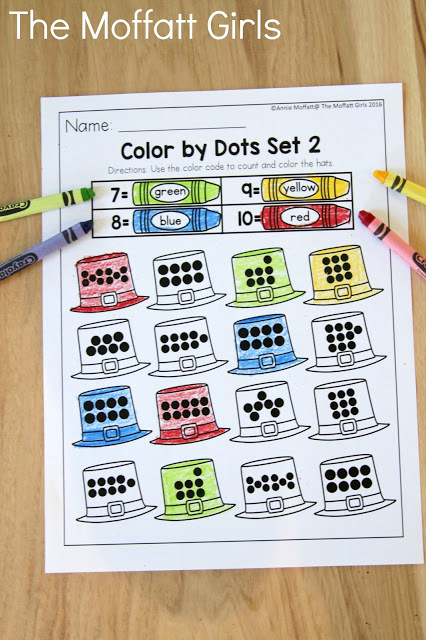 *Missing Addends up to 20 ( Color by the Code) Find the missing addend for each number sentence. 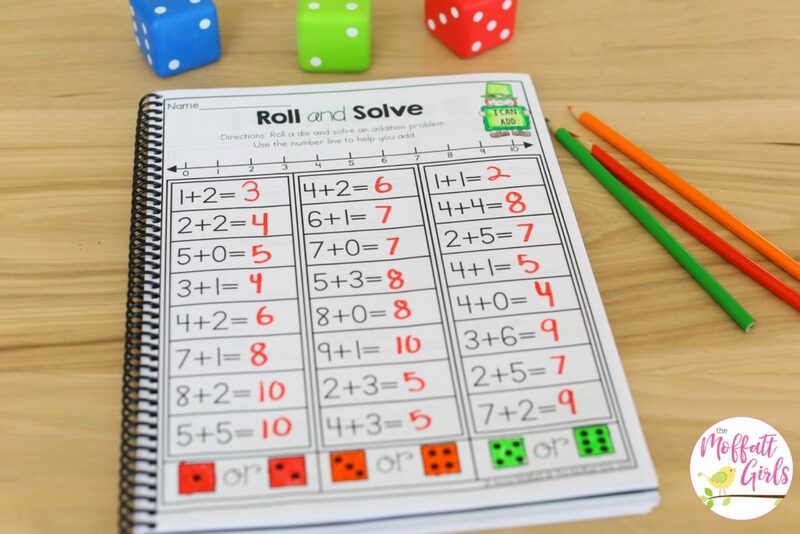 *Doubles Plus ONE- Double the given number and write an equations. Add 1 to the sum and write another equation. 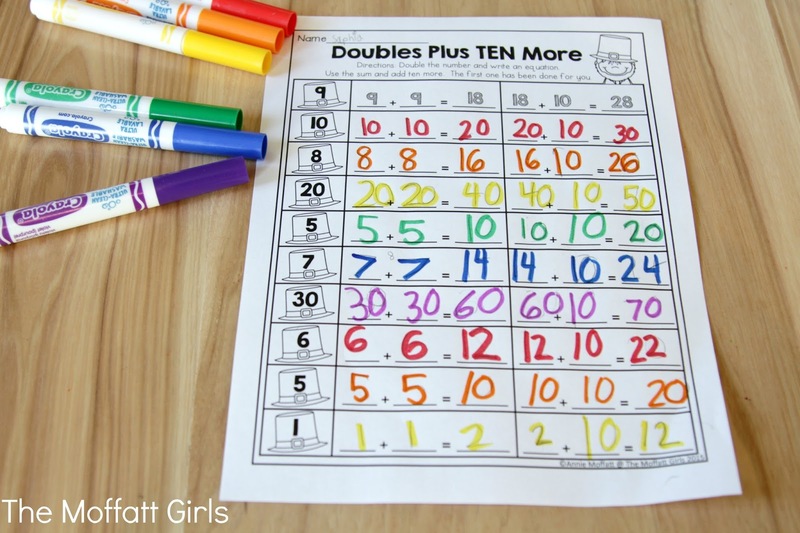 *Doubles Plus TEN- Double the given number and write an equations. Add 10 to the sum and write another equation. 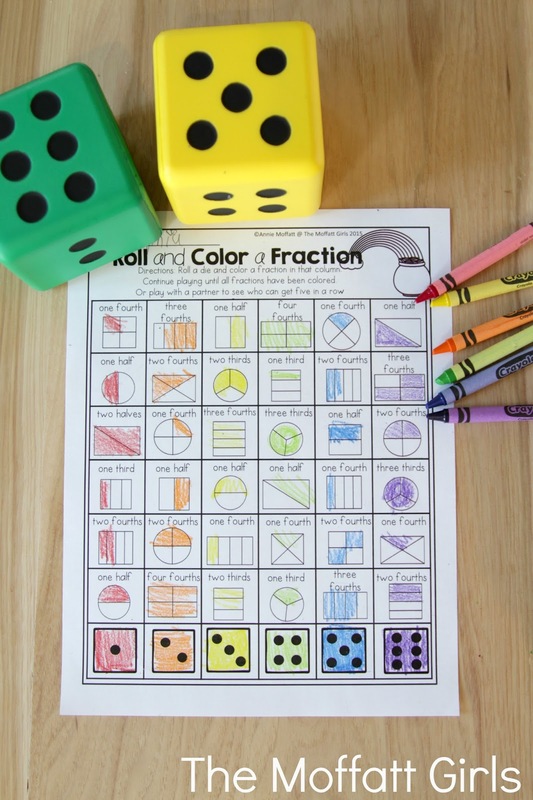 Addition and Subtraction (True or False) Color by the code. 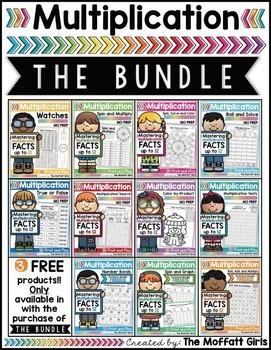 *Fact Families- Complete each fact family. *Mystery Double Digit Addition (NO Regrouping) Use the symbols to solve the equations. *I Can Classify Groups of Words- Cross out a word that doesn’t belong, write another word that belongs in the correct category. *Cause and Effect- Look at the pictures. Write a possible cause and effect for each. 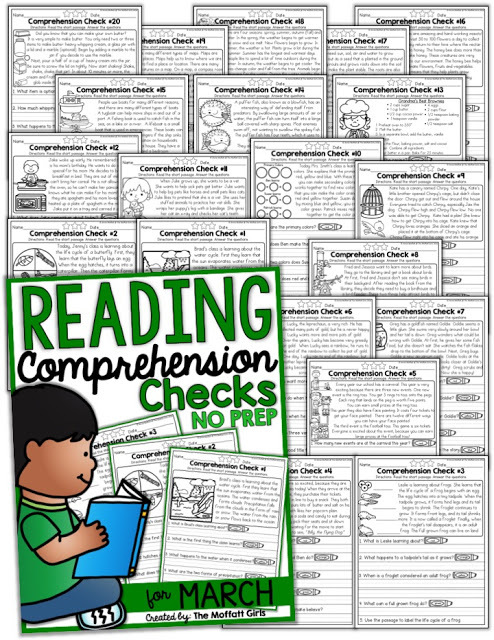 *Drawing Conclusions- Read the clues and answer the questions. Draw a picture to match your answer. 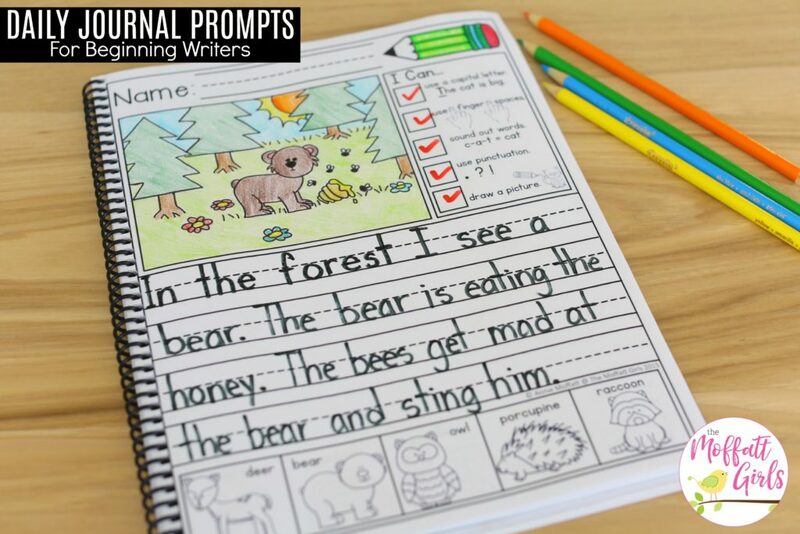 *Expanding Sentences- Replace each underlined words to make the sentence more descriptive. *Making Inferences- Read the sentence and look at the picture clues. Make an inference. 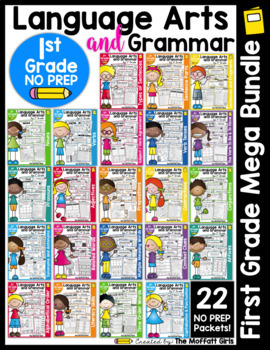 *Dictionary Skills and ABC Order- Put the words in ABC order. 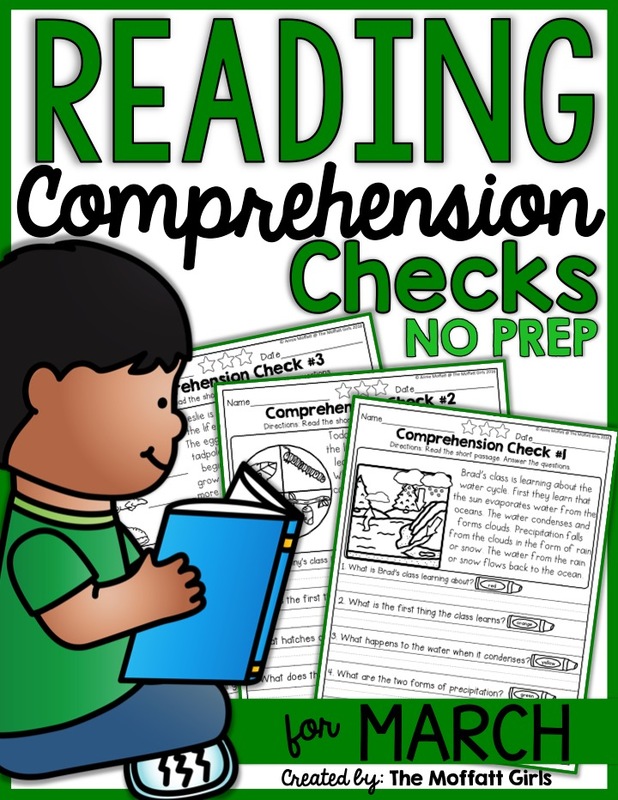 Look up each word, write the guide words and the page you found it on in the dictionary. 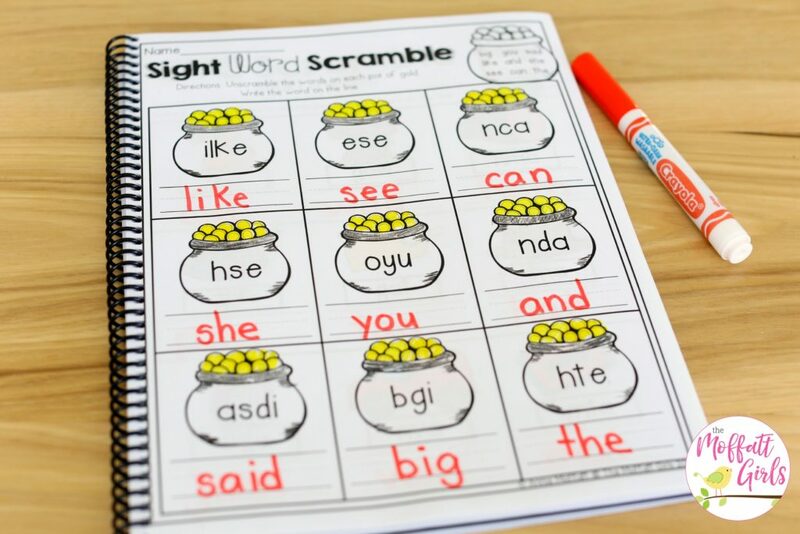 *Diphthongs ow and ou – Read the words on the sign. Find the boxes that match the shape of the word. Box up each word. *Diphthongs oi and oy – Read the words on the sign. Find the boxes that match the shape of the word. Box up each word. *Short -oo Sound Riddles- Put all the words in ABC Order. 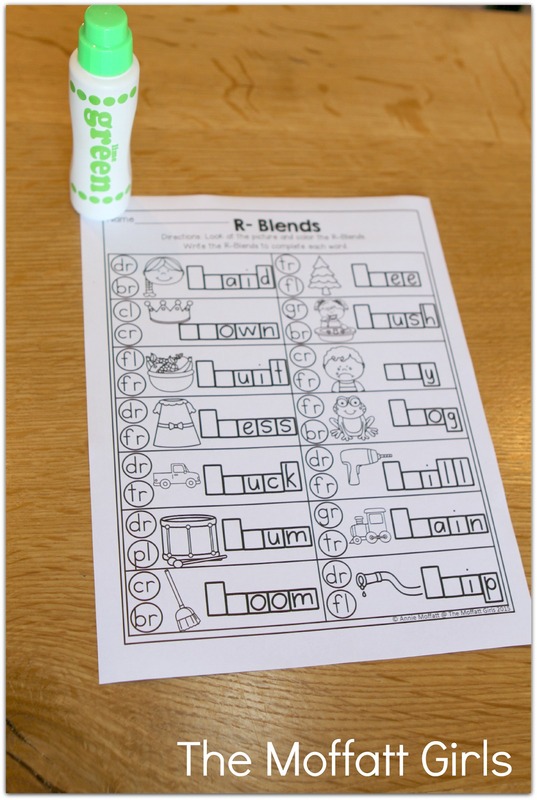 Read the clues to the riddles and write the correct word. *Long a Sound Riddles- Put all the words in ABC Order. 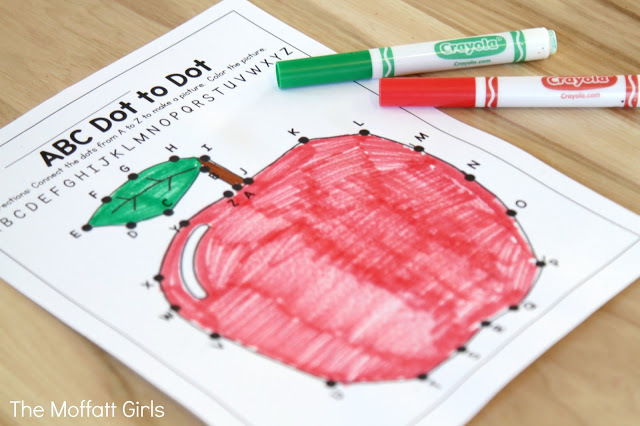 Read the clues to the riddles and write the correct word. *Long e Sound Riddles- Put all the words in ABC Order. Read the clues to the riddles and write the correct word. *Long i Sound Riddles- Put all the words in ABC Order. 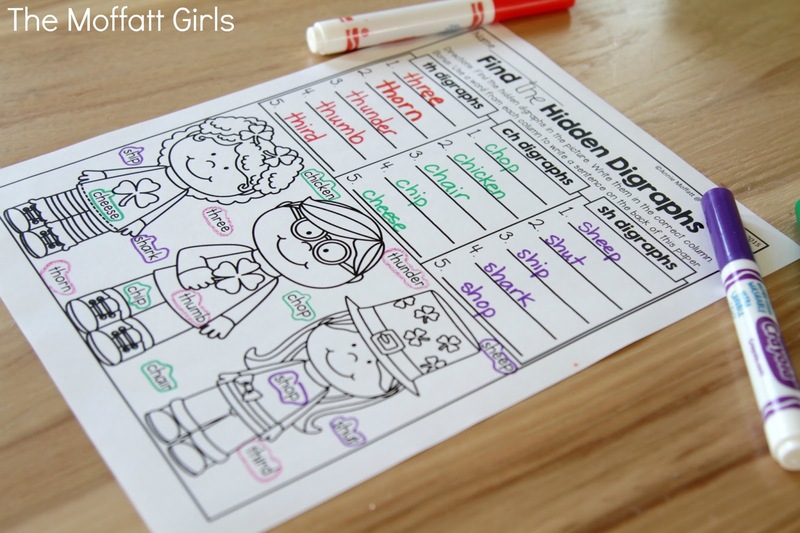 Read the clues to the riddles and write the correct word. *Long o Sound Riddles- Put all the words in ABC Order. Read the clues to the riddles and write the correct word. *Long u Sound Riddles- Put all the words in ABC Order. 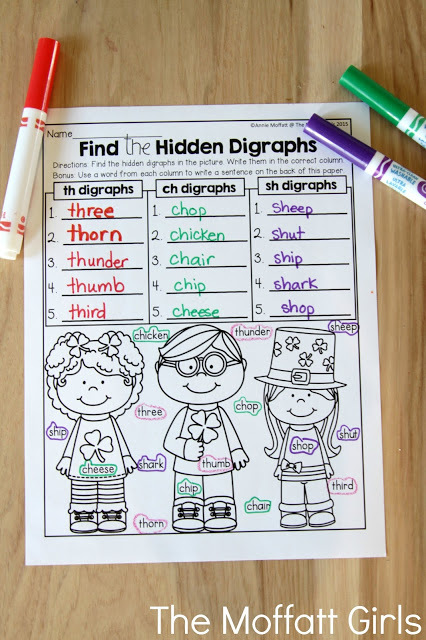 Read the clues to the riddles and write the correct word. *Making New Words with the word Leprechaun- Cut out the letter tiles to make as many new words as you can. *Classifying- Read the story about Jane’s Birthday Party. Group things that are the same by writing the correct answers in the boxes. *Finding the Details in an Informational Text- Read the informational text about Hummingbirds. 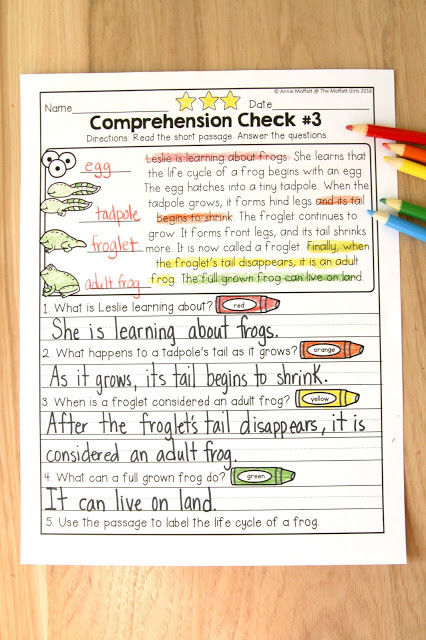 Highlight the correct parts of speech. Find the answers to the crossword puzzle in the text. *Penmanship with Poetry- Trace the March poem in cursive and then practice writing the March poem in cursive. *Parts of a Butterfly- Label the parts of a butterfly. 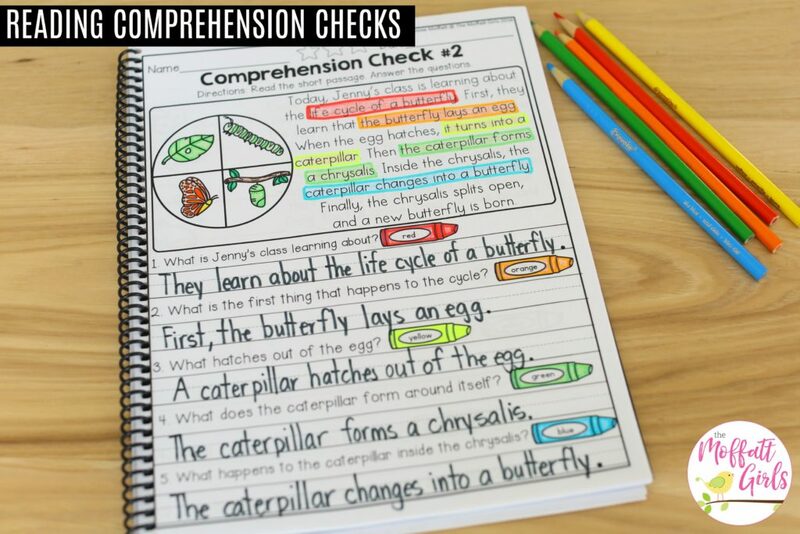 Research butterflies and fill in the graphic organizer. Find the Grammar- Look at the picture. 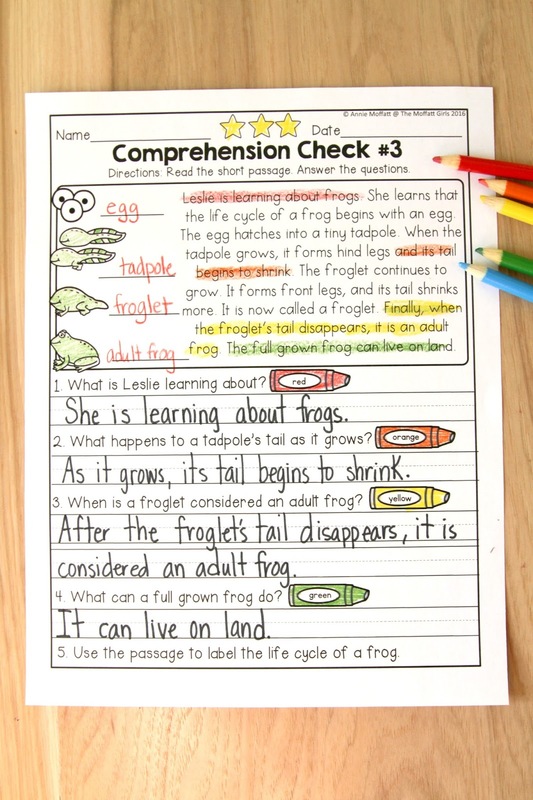 Find and write the correct parts of speech under the correct category. *Quotation Marks- Add quotations marks to show who is speaking in each sentence. Underline the verbs and circle the nouns. 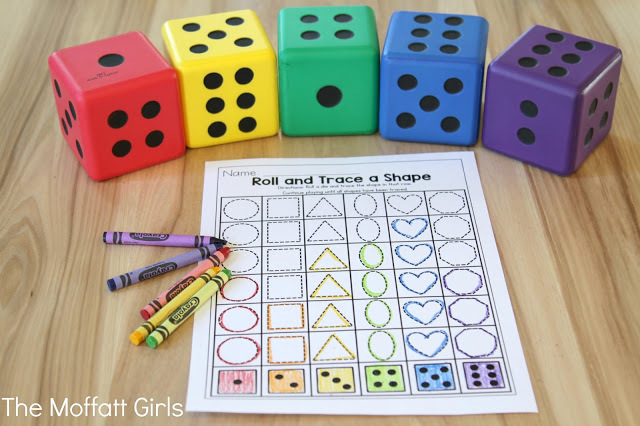 Roll and Write the Grammar- Roll a die and write that specific part of speech: verb, adverb, noun, pronoun, adjective, preposition. *ABC Order to the 2nd Letter- Put each set of words in ABC order. *ABC Order to the 3rd Letter- Put each set of words in ABC order. 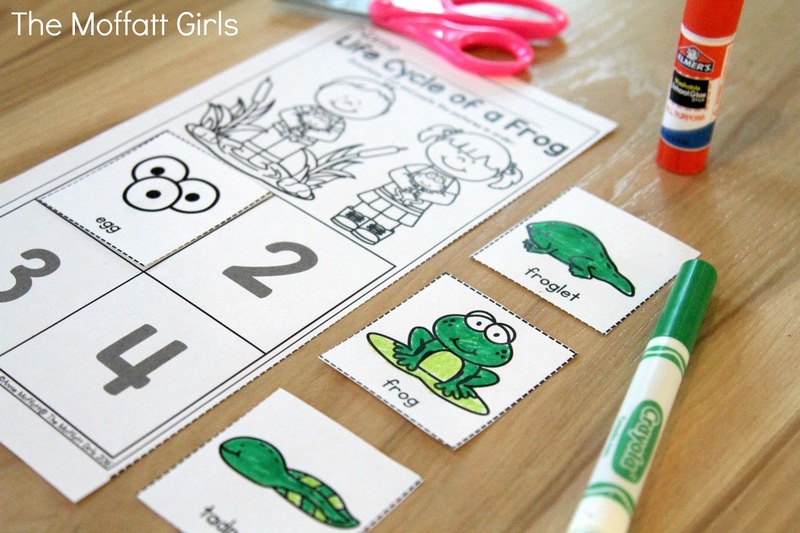 *Supporting Details I- Label the lifecycle of a butterfly. Read the topic sentence. Use the picture to write supporting details that relate to the topic. 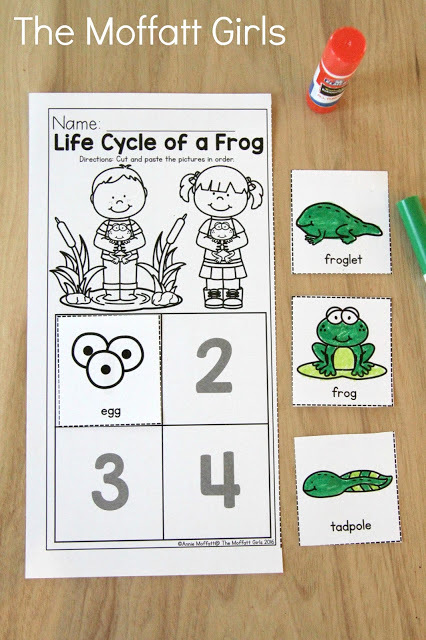 *Supporting Details II- Label the lifecycle of a frog. Read the topic sentence. 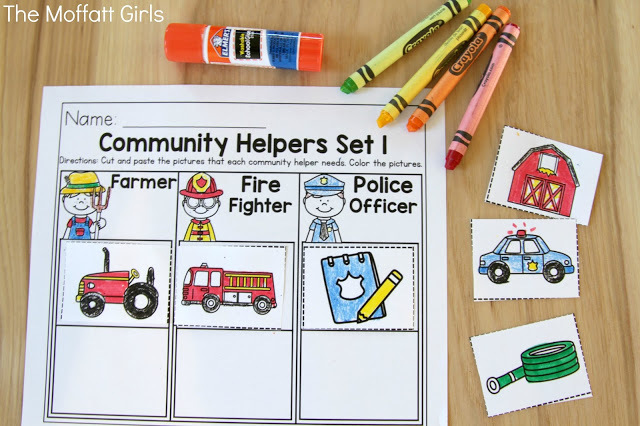 Use the picture to write supporting details that relate to the topic. *Sequence of Events- Lifecycle of a Flower. Put the pictures in order from 1-6. Tell what happened in each picture. 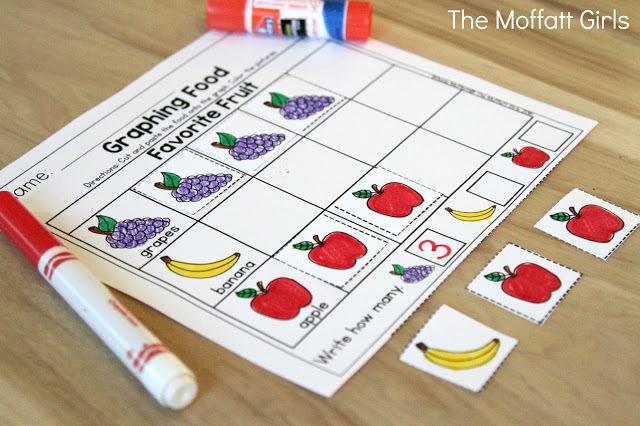 *Mystery Addition with Regrouping- Use the symbols to solve the addition problems. 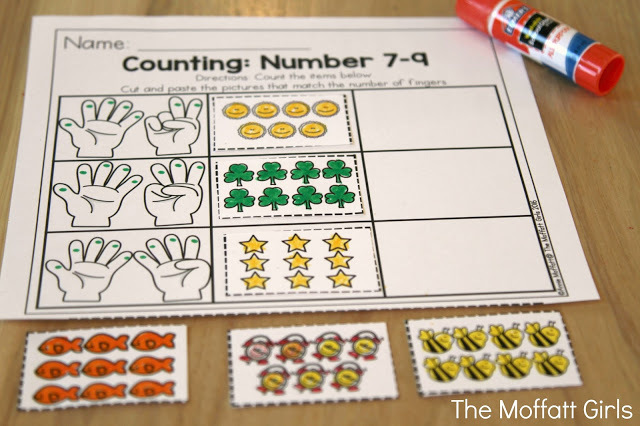 *Make your Own Mystery Addition with Regrouping- Use the symbols to solve the addition problems. *Mystery Subtraction with Regrouping- Use the symbols to solve the subtraction problems. 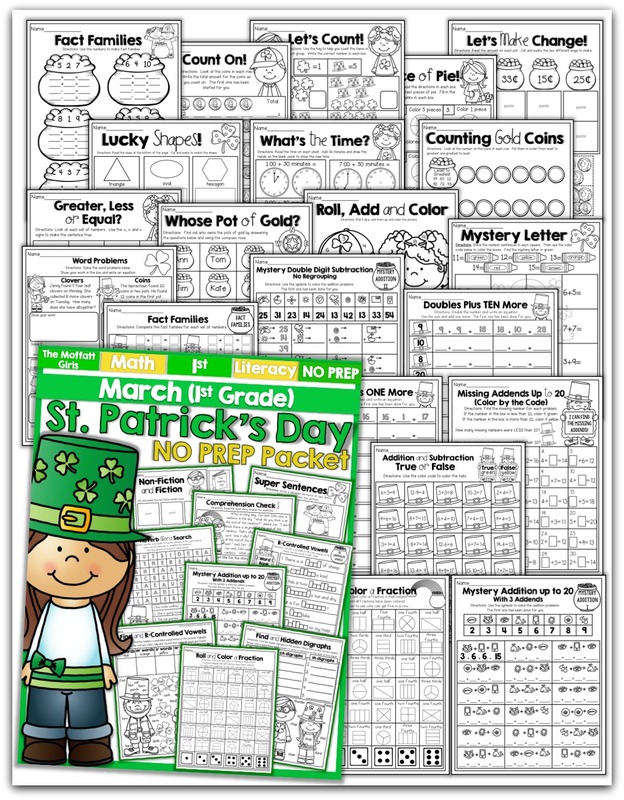 *Measuring in Centimeters- Use a centimeter ruler to measure the distance of each route the leprechaun took to find the pot of gold. 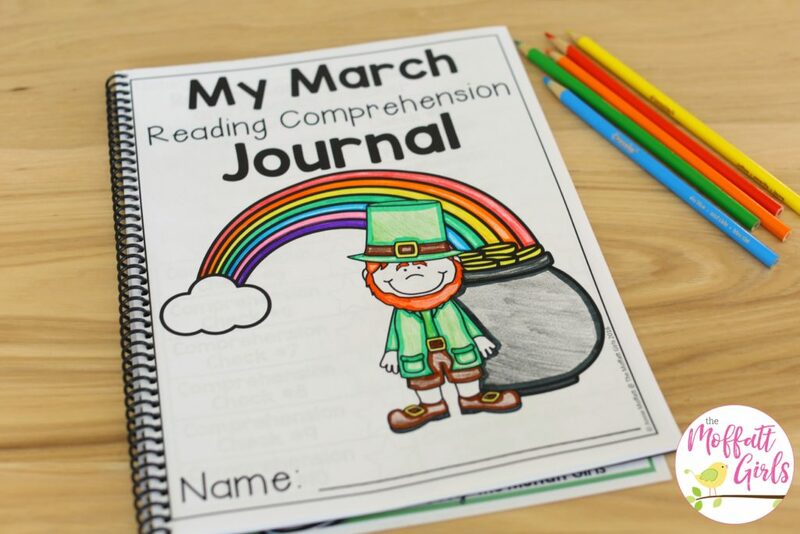 *Measuring in Inches- Use an inch ruler to measure the distance of each route the leprechaun took to find the pot of gold. 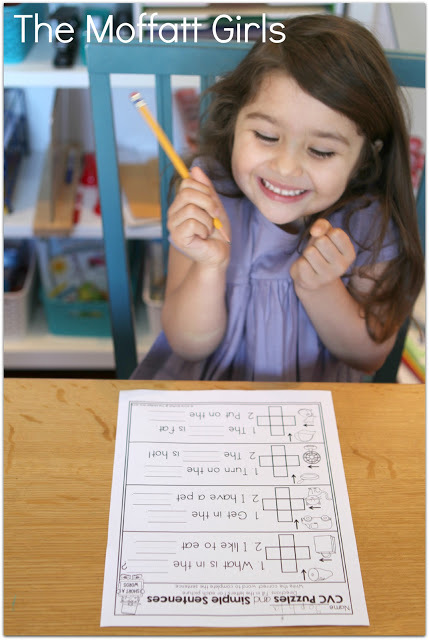 *Measurement with Centimeters- Look at the measurement for each item and answer the questions. 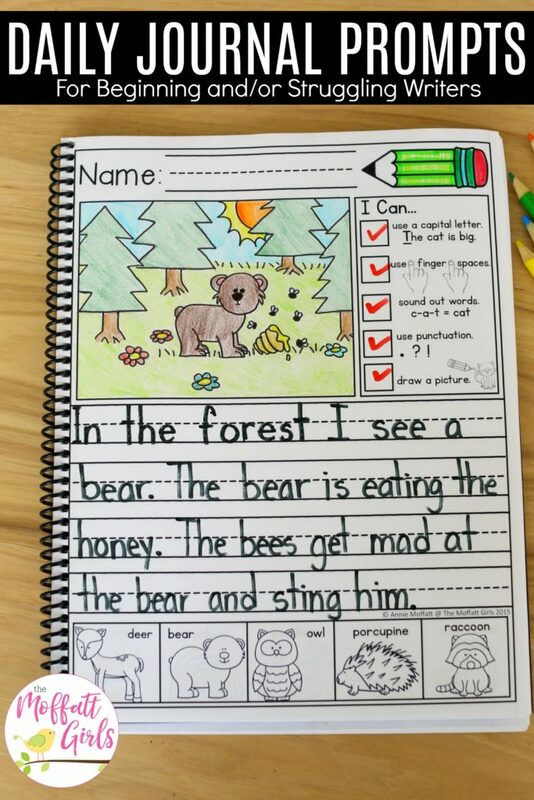 *Types of Sentences- Read each sentence. Decide if it is a statement, command, question, or exclamatory sentence. Cut and paste the answer. 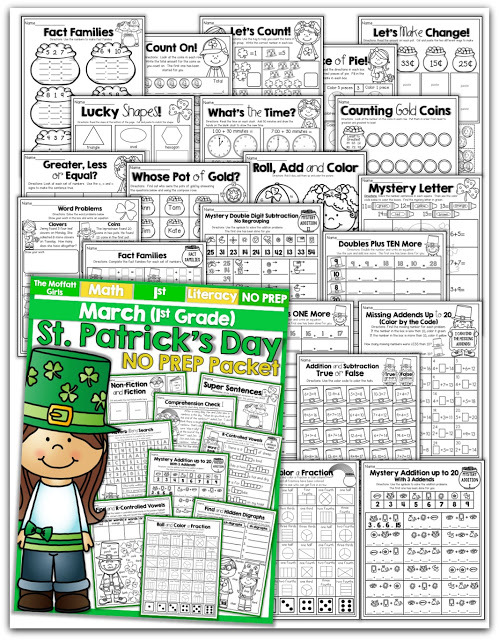 *2 Digit Numbers with Regrouping- Find the pot of gold with the greatest sum in each row. Write it on the board. 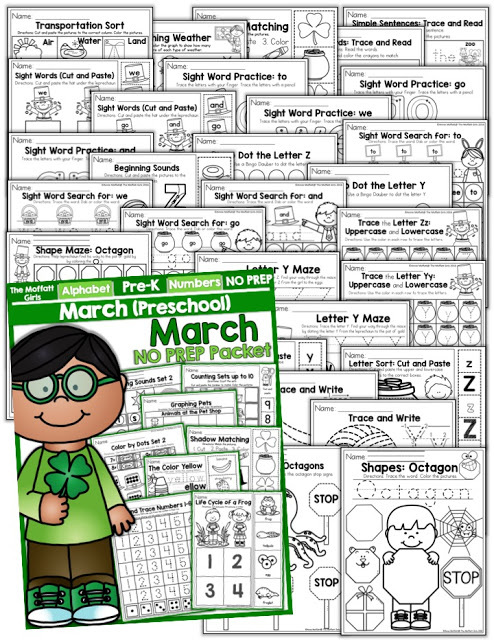 *Pictograph- Use the pictograph to help you answer the questions. *Mental Math up to 1,000. *Money: Adding and Subtracting. Use the prices on the tags to answer the questions. 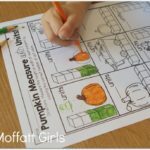 *Measurement in Meters- Use the map to answer the questions. 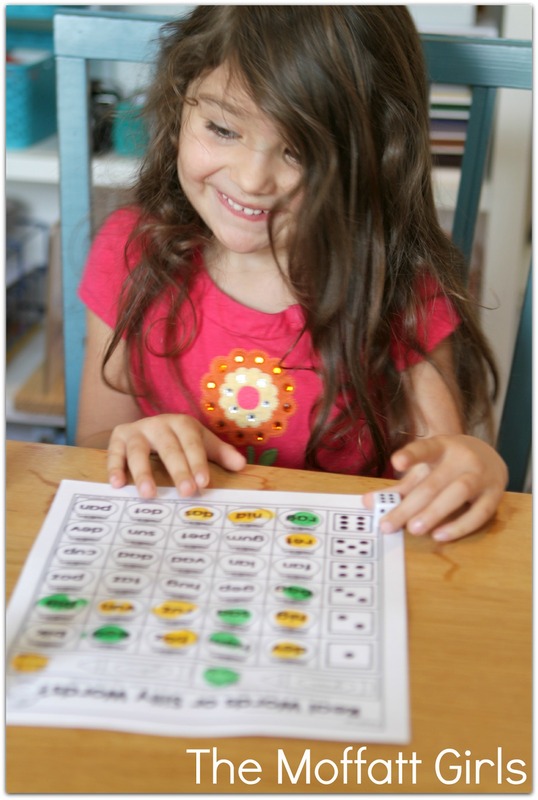 *Triple Digit Subtraction – Spin and Subtract with Regrouping- Spin a number on each spinner. Write the equation and subtract. 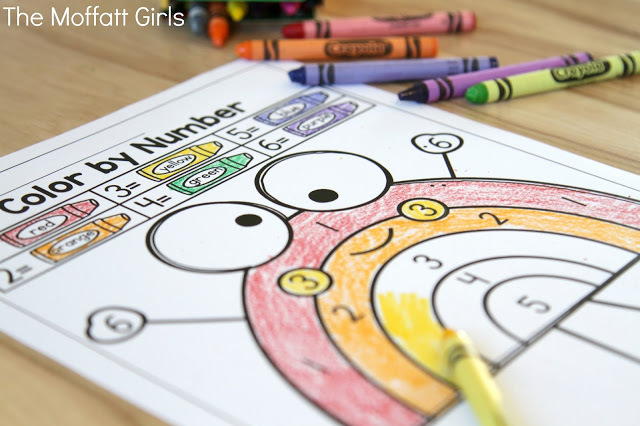 *Triple Digit Addition – Spin and Add with Regrouping- Spin a number on each spinner. Write the equation and add. 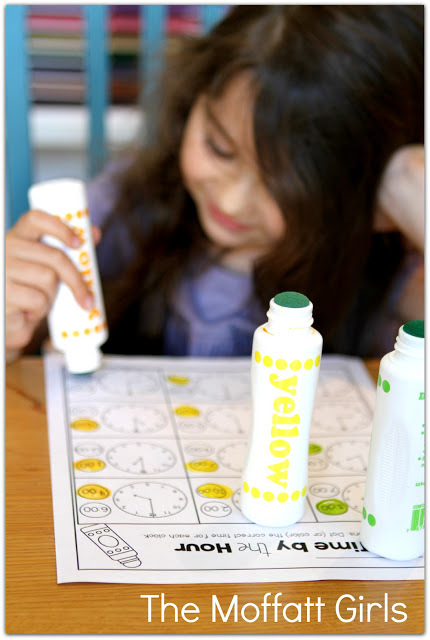 *Money: Counting Coins- Count the coins and write the amount for each toy. *Money: Show the change. Draw the coins needed to buy each toy. Use the least amount of coins possible. 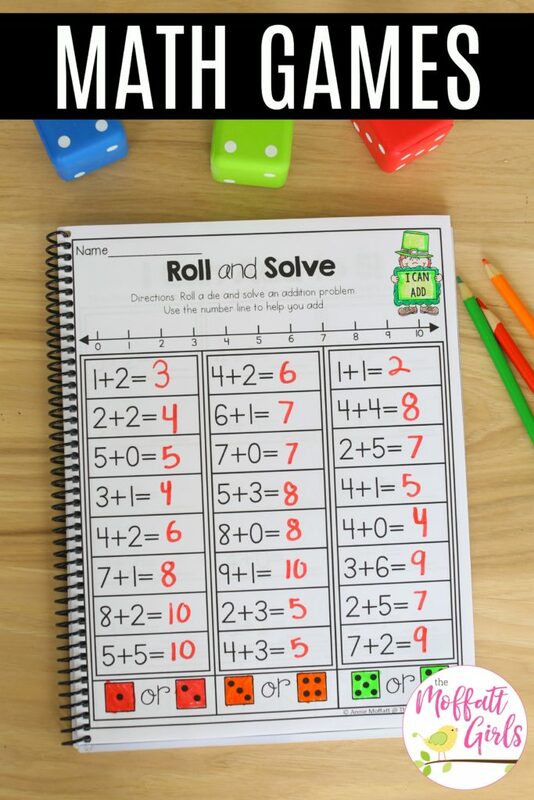 *Roll and Solve 3 Digit Subtraction- roll a die and solve a math problem in that column. 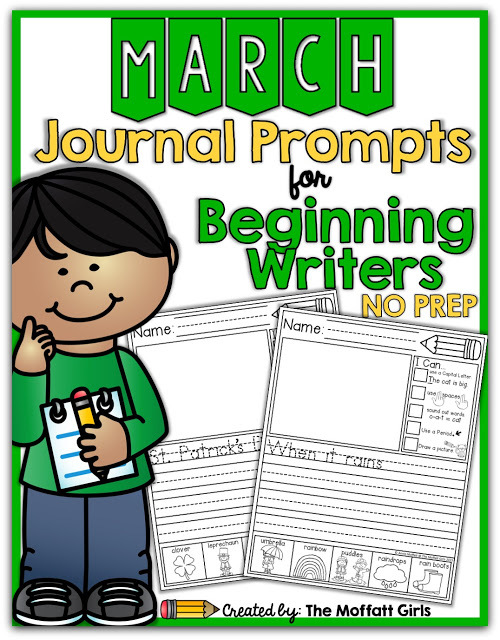 These journal prompts have been such a WONDERFUL addition to our daily writing! 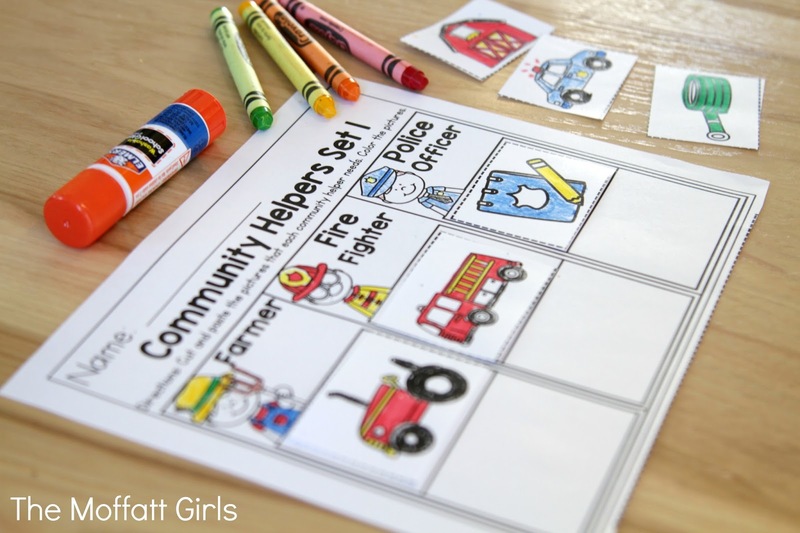 I have a little girl who begs me to do another one and another one! 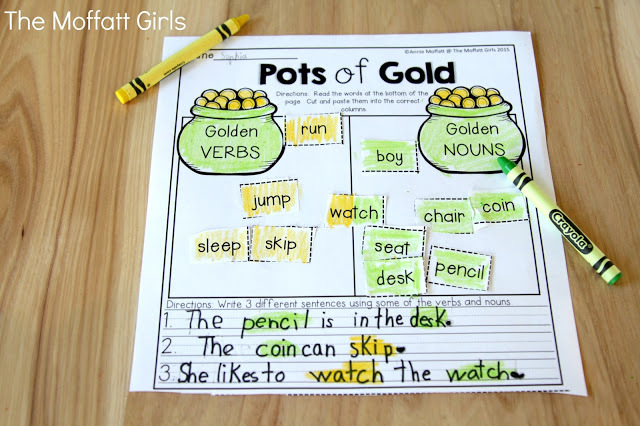 Prompts with and without traceable starter sentences. My name is Maritha. I’m a teacher at a school for SID learners (Severe mentally Disabled) in South-Africa. 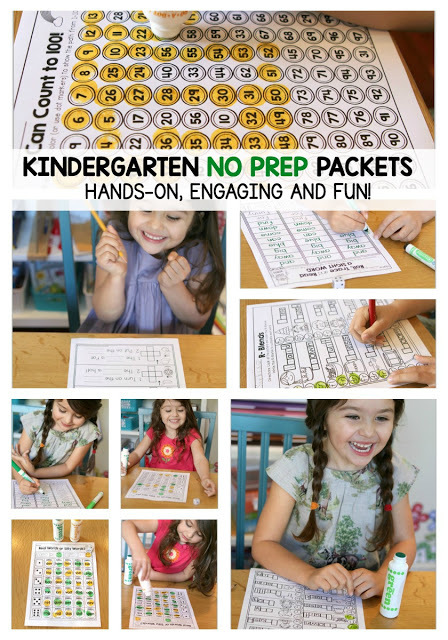 I”m using your Kindergarden worksheets with great success. Thank you for your awesome freebies. 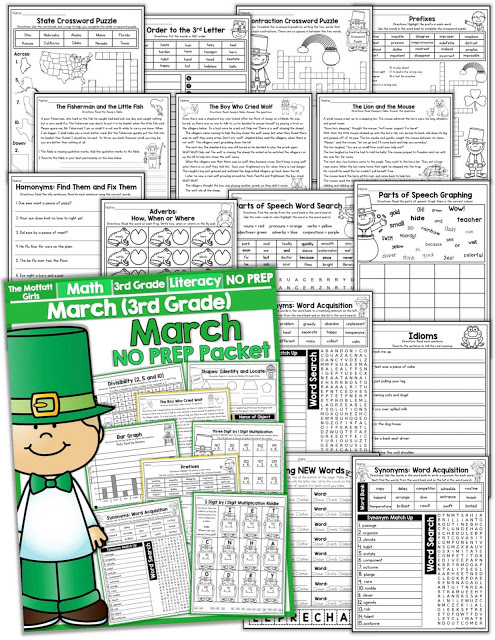 at the moment I am looking for the following worksheets that I saw on your website…. 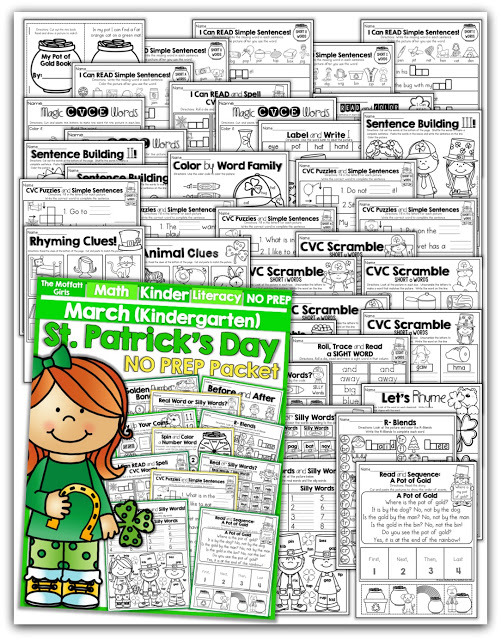 CVC puzzles and simple sentences. Life cycle of a frog/dog/human. How do I go about to buy it? Thank you for your kind words! It makes me happy to hear that you your students are enjoying these activities! 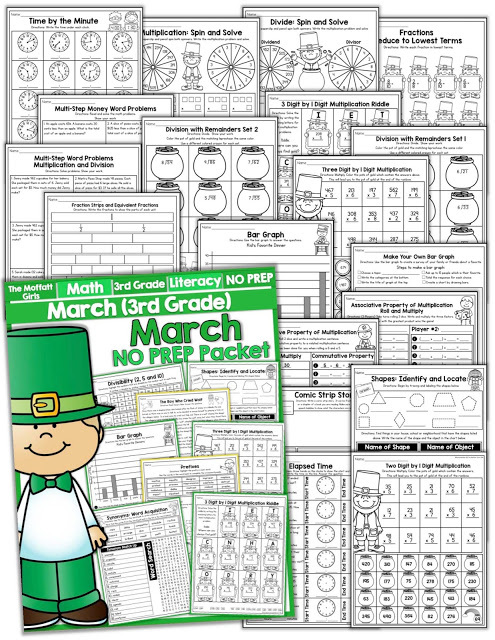 All of those worksheets are found in the Kindergarten March NO PREP Packet. 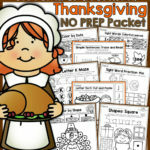 Here is the link to purchase the packet: Click Here. 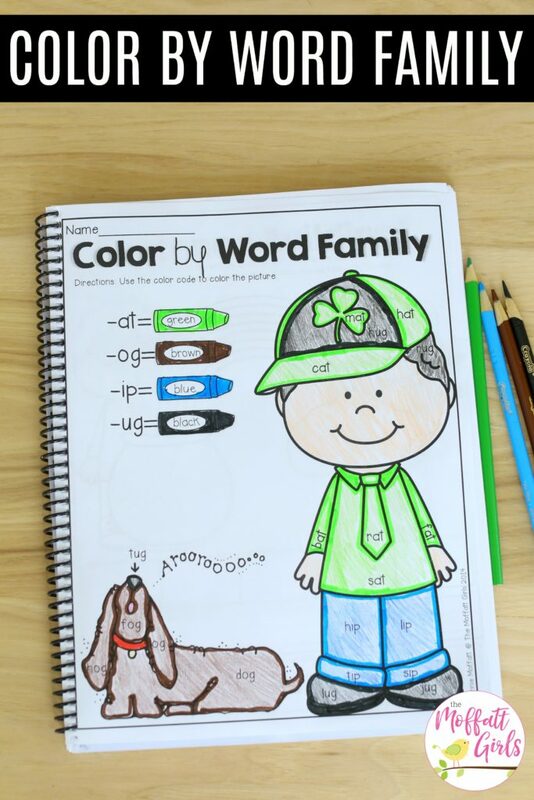 Here is a link for a full packet of activities that are similar to the Color by Word Family page that you like: Click Here. 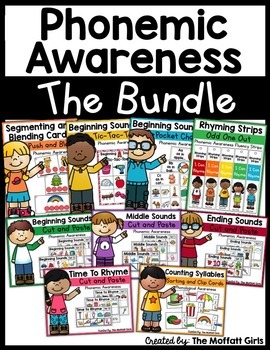 And here is a link for the CVC Bundle that includes the Color by Word Family Packet along with a 11 other packets to help students build fluency with CVC words: Click Here. I cant find the freebie that was advertised with this. I’m so sorry about that! Sometimes people mix up links to my blog. If you email me a snap shot of the freebie that you saw, I could try to find it for you. Email me at themoffattgirls@gmail.com with a snapshot if possible, or a description of the freebie. Also, would you mind sending me a link to where you saw the freebie advertised so that I can clear that up? Thank you! I am wondering if yoI have your Read and Color pages in a separate package at all. 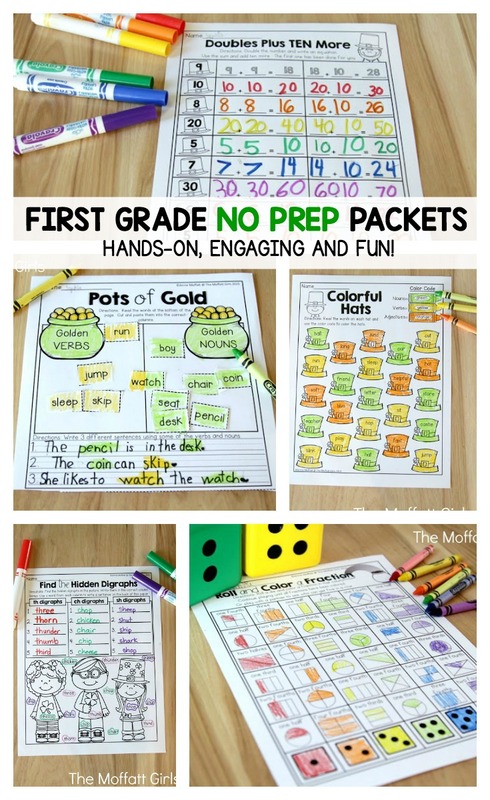 I love to use them for independent work for my special education classroom. Unfortunately, I don’t have a packet of only Read and Color pages. 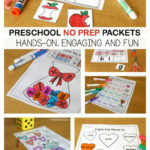 Those are sprinkled throughout the NO PREP Monthly packets. However, I do have quite a few packets that are similar. 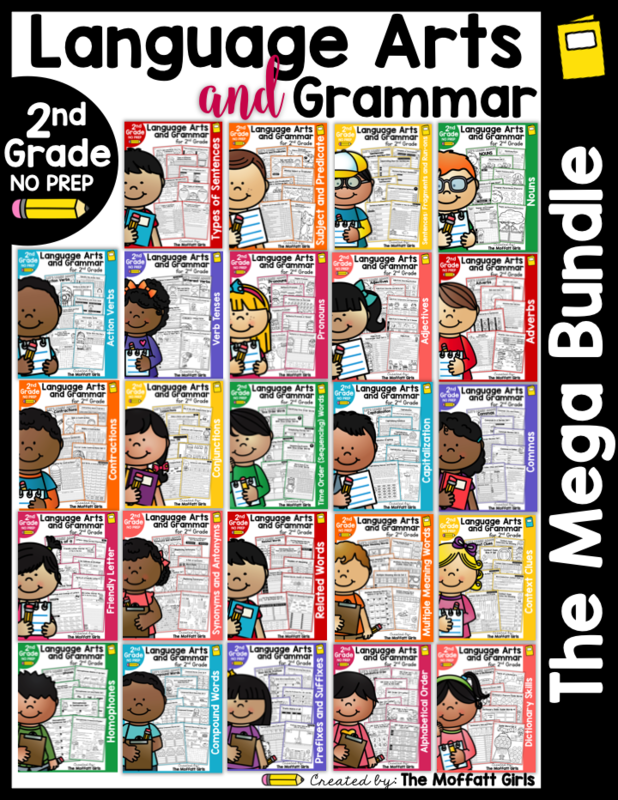 You might like the CVC Fluency Bundle: Click Here. 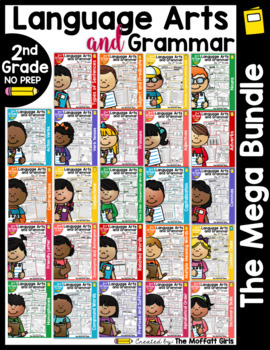 Or you might like the CVCe Fluency Bundle: Click Here. I hope those help. If not, let me know, and I can search more for different resources that I have. 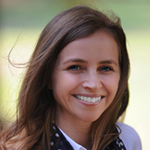 Here is a link to February’s blog post: Click Here. I hope that helps!